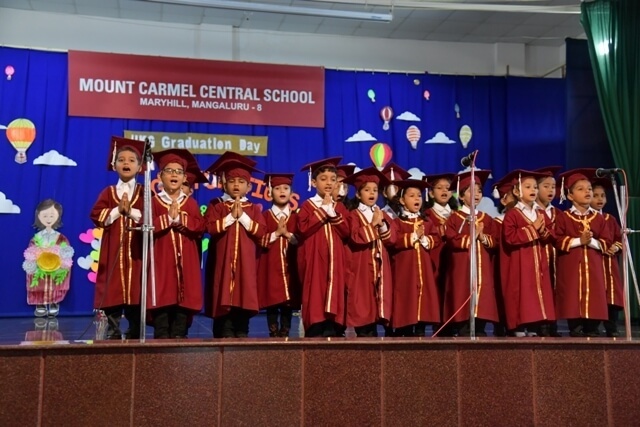 March 28, 2019 was a day of rejoicing for all of us at Mount Carmel. 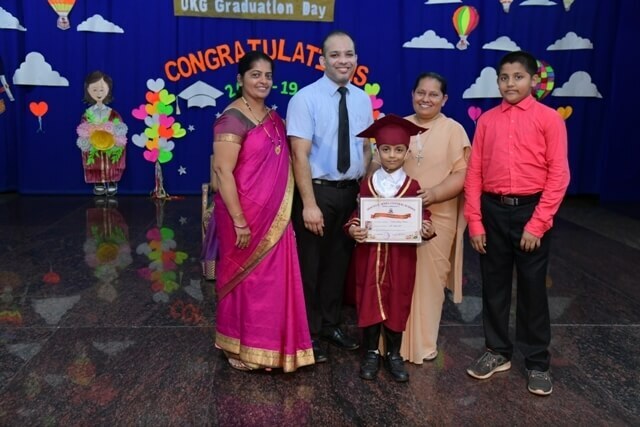 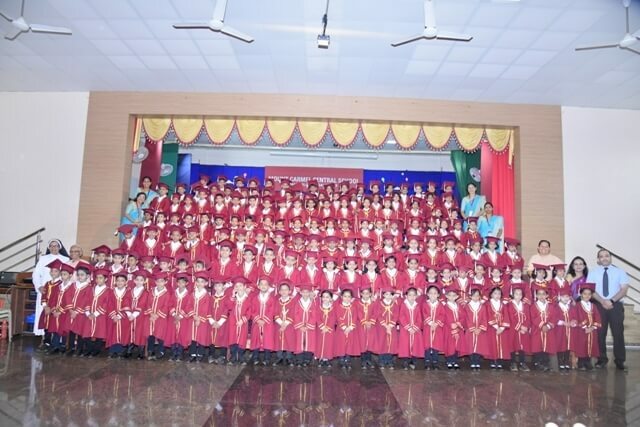 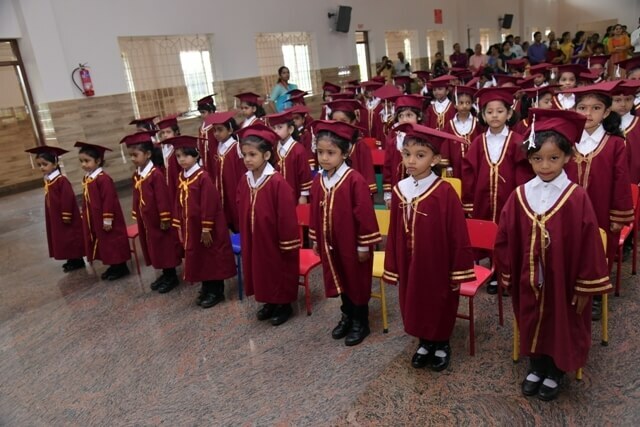 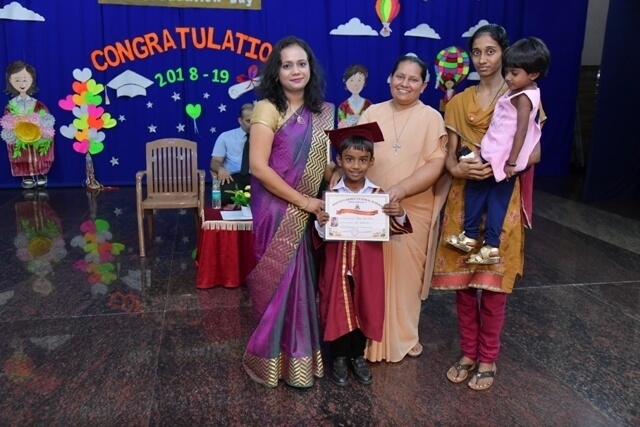 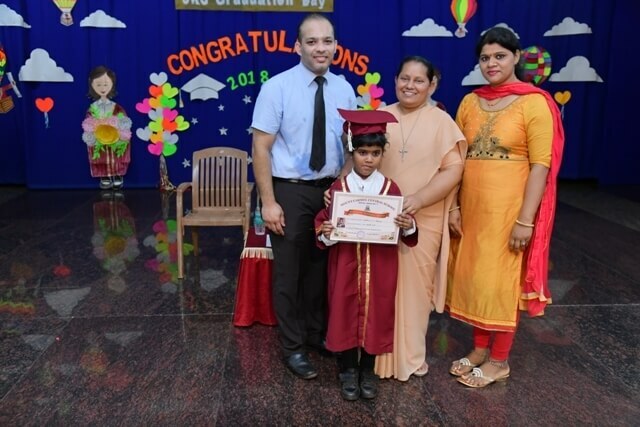 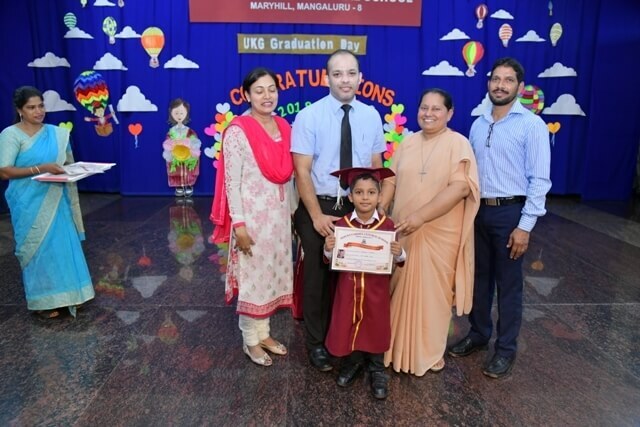 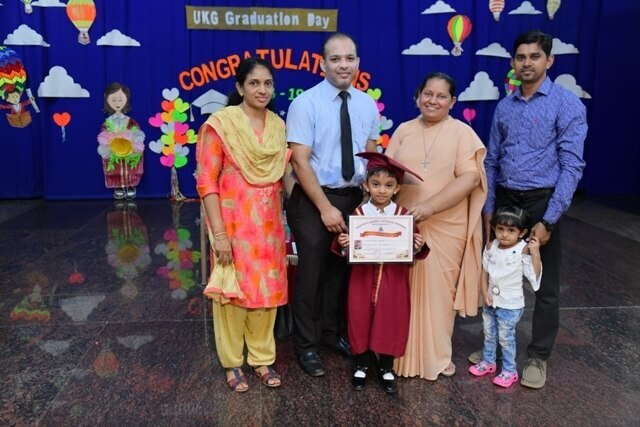 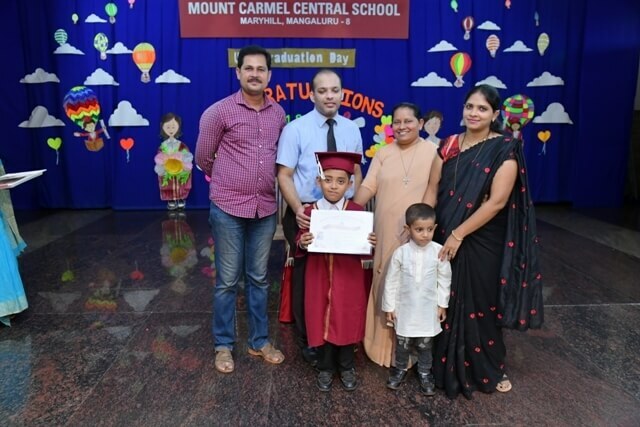 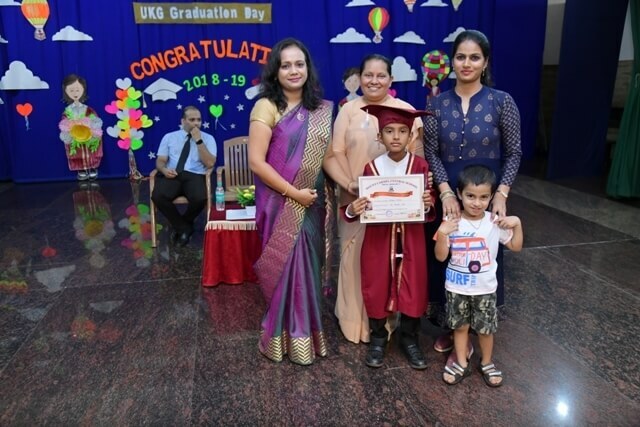 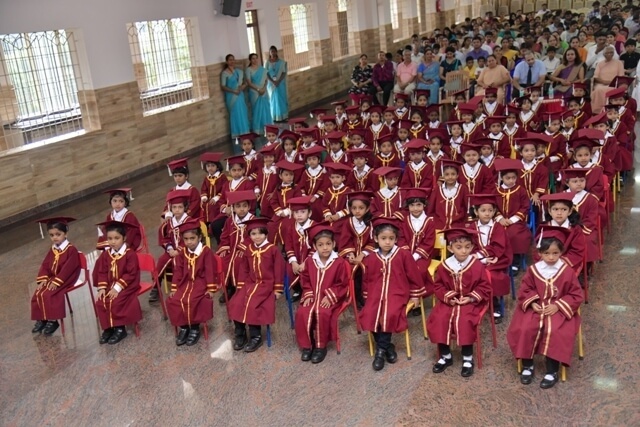 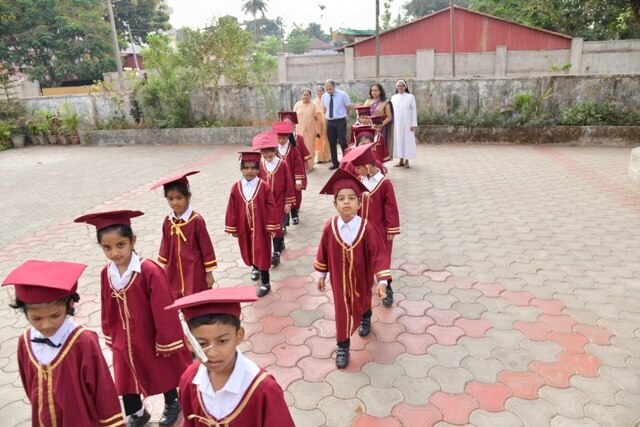 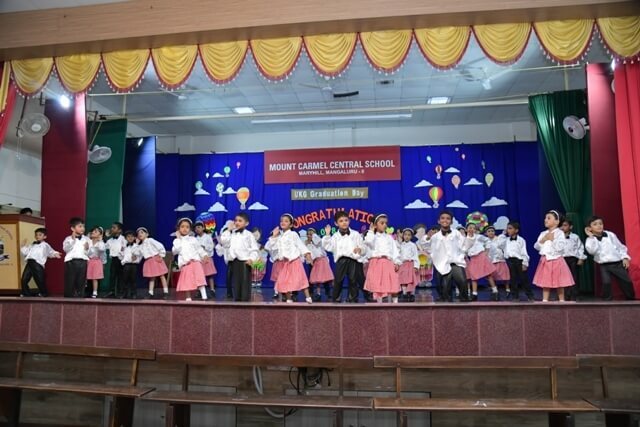 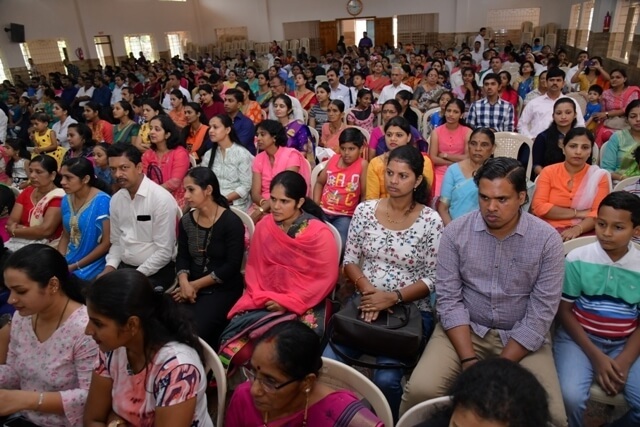 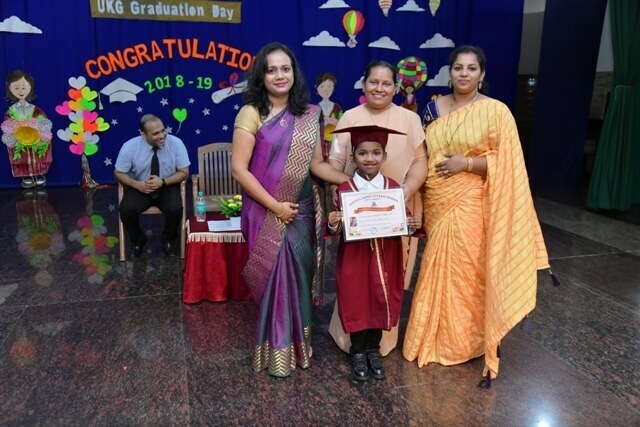 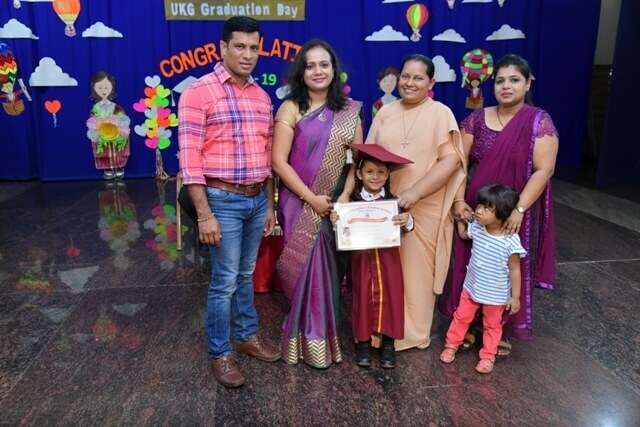 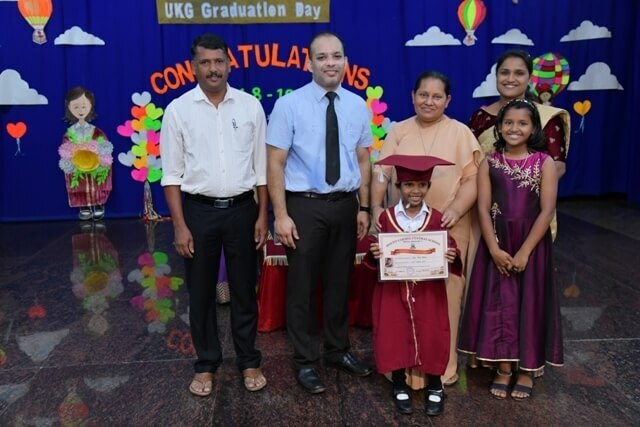 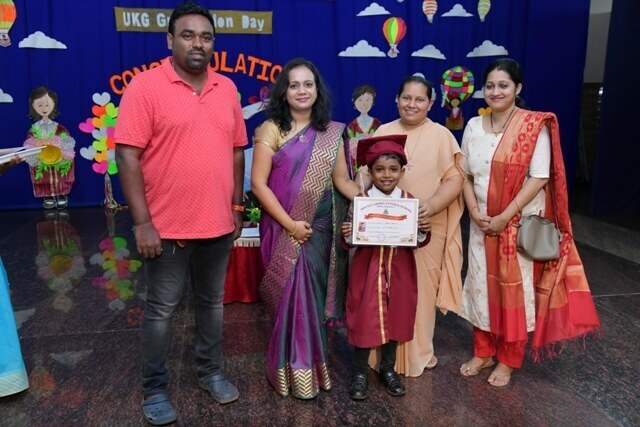 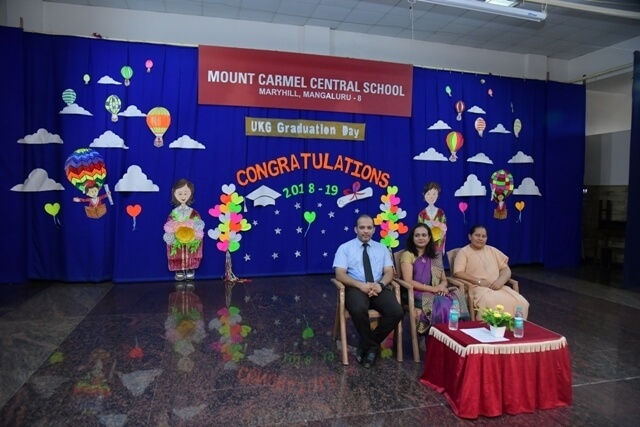 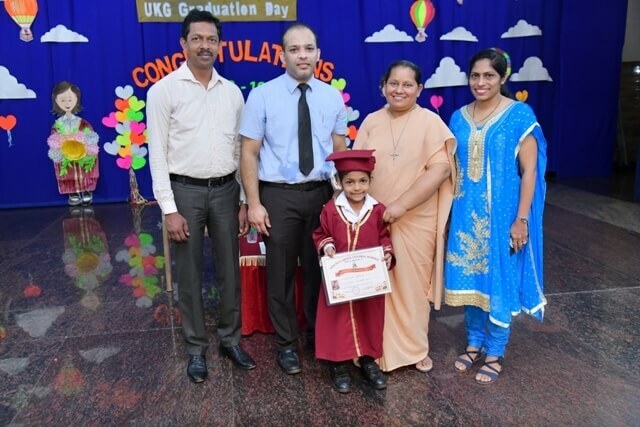 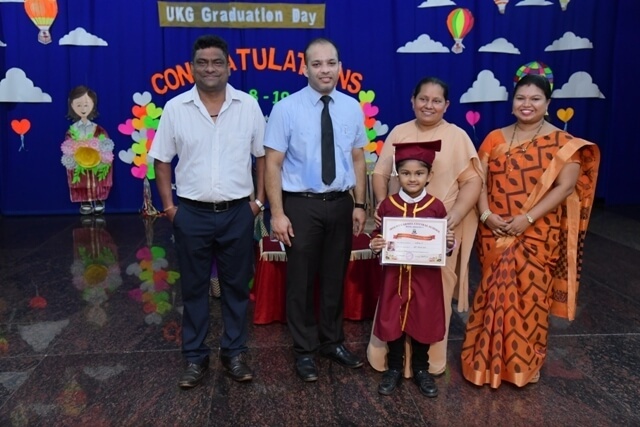 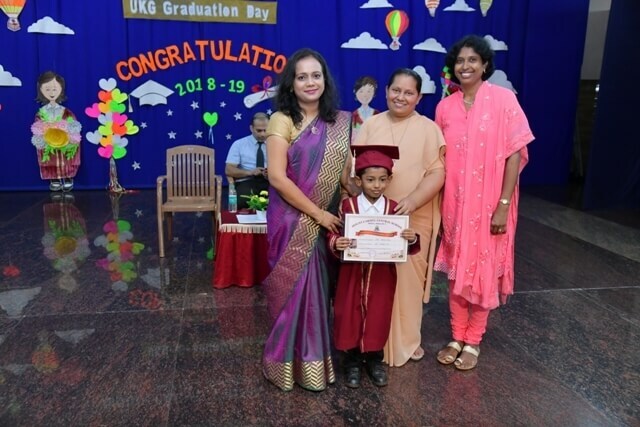 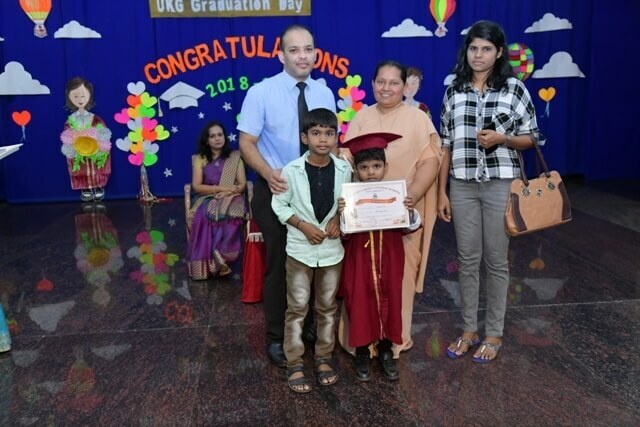 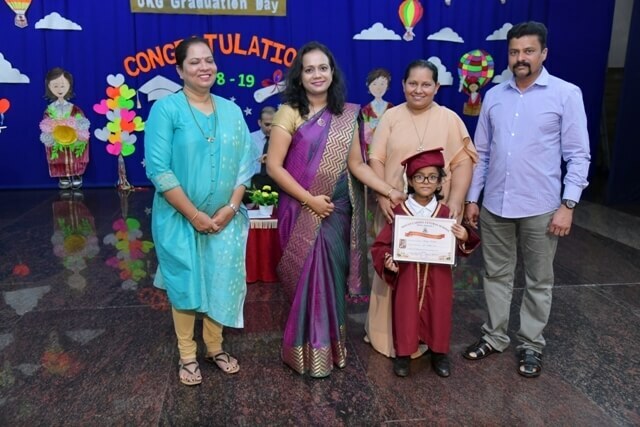 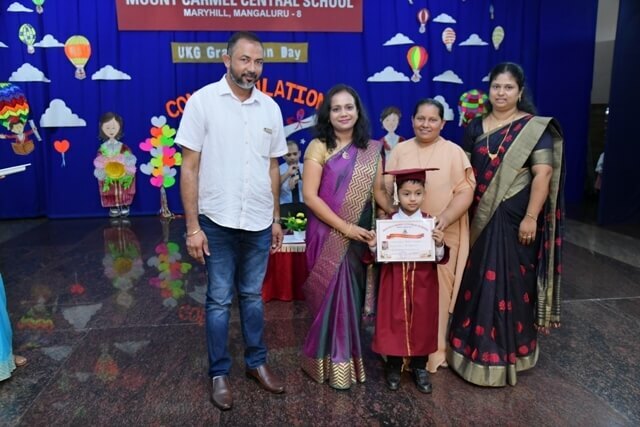 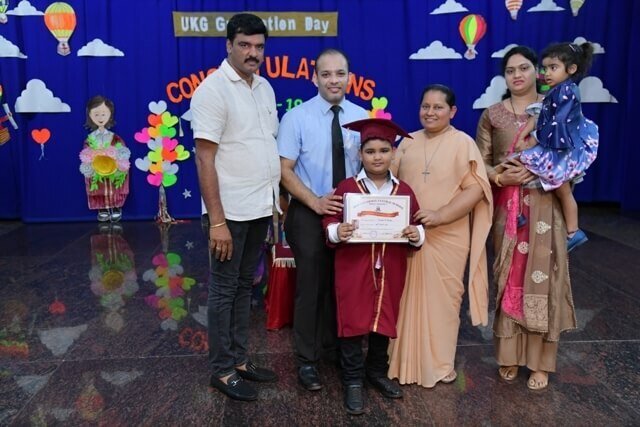 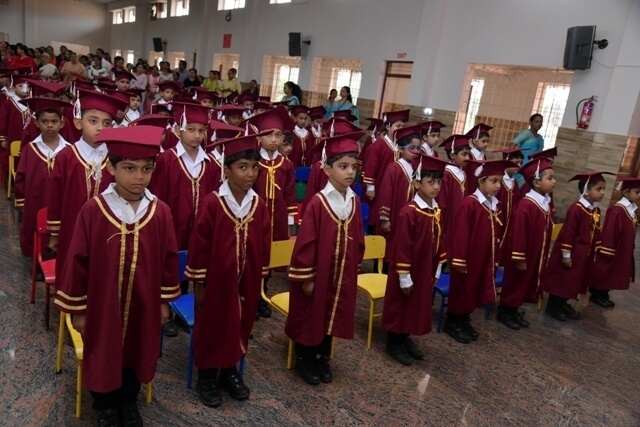 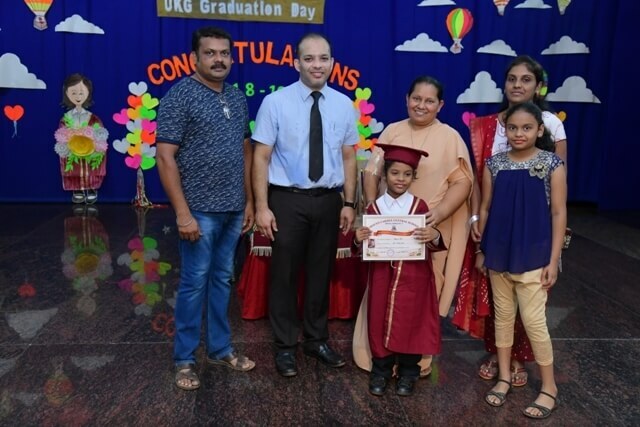 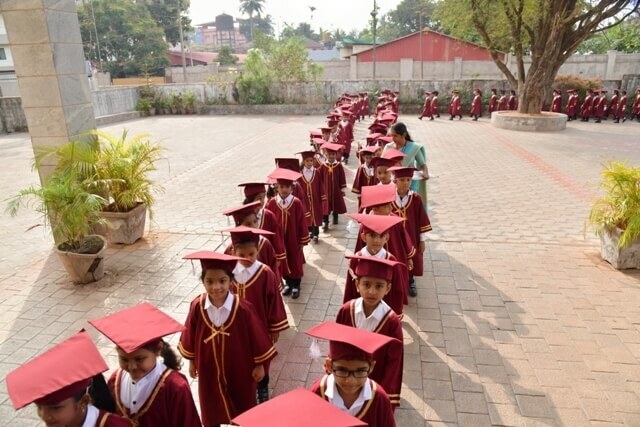 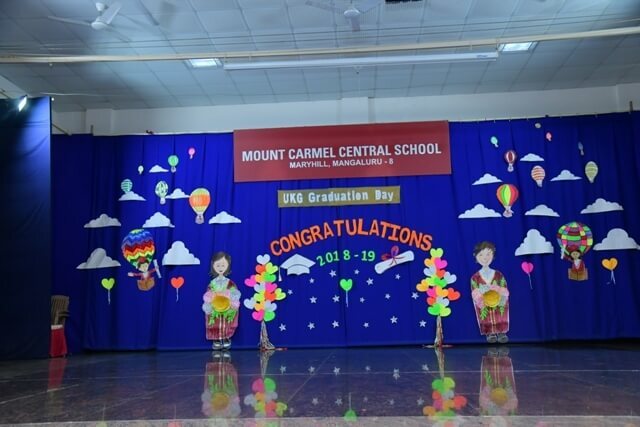 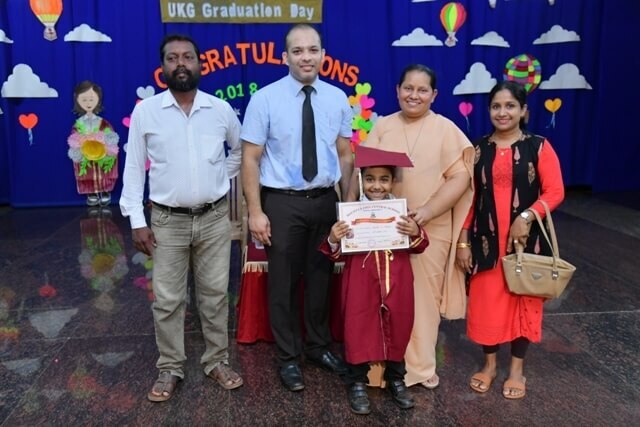 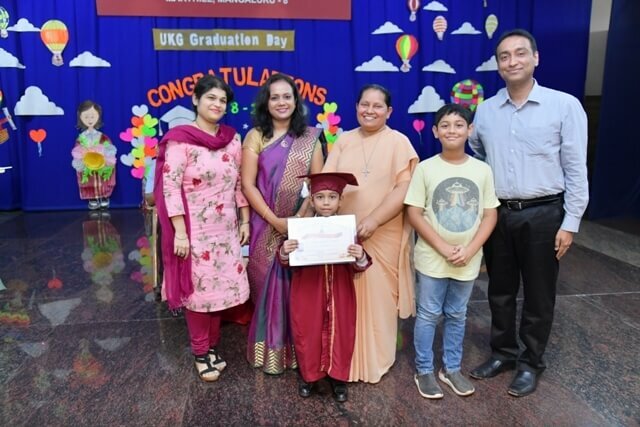 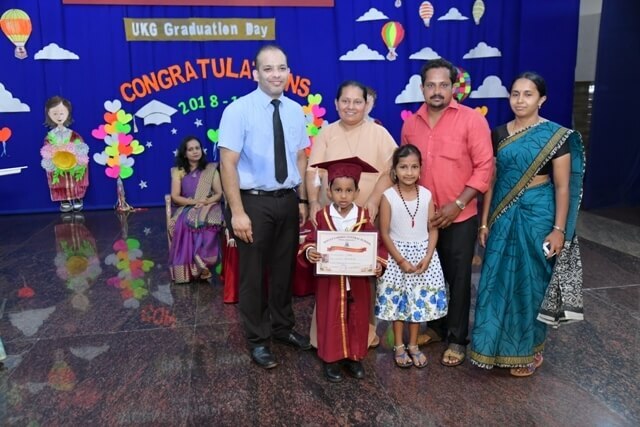 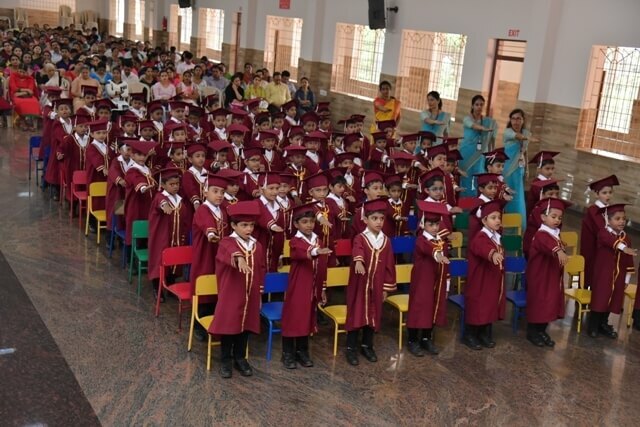 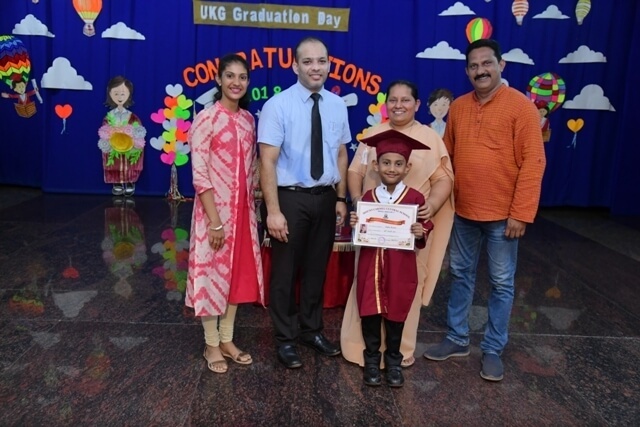 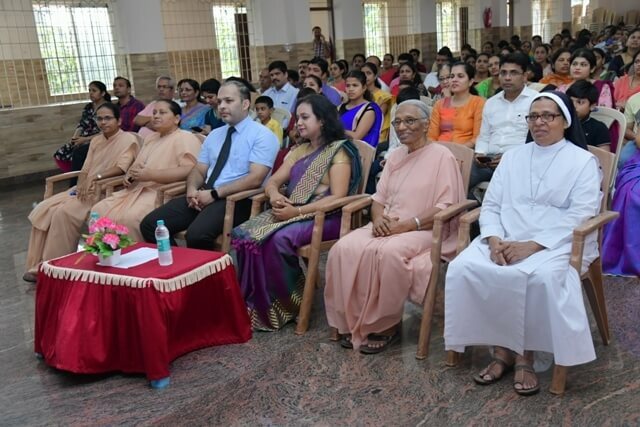 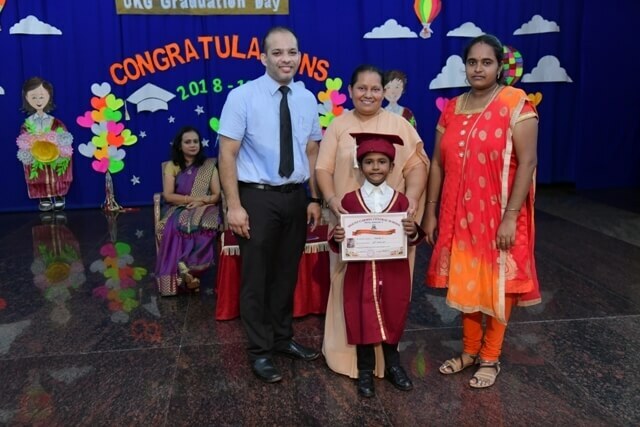 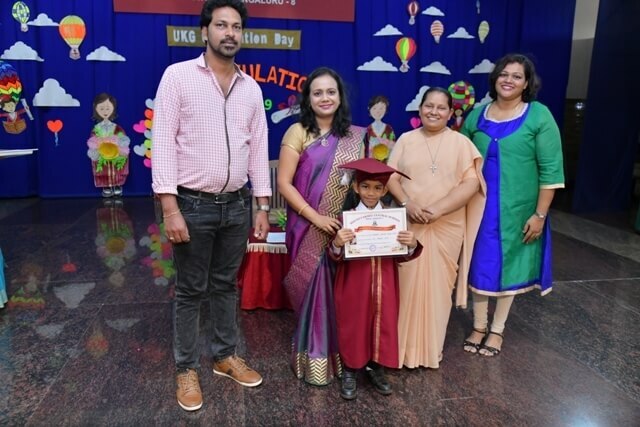 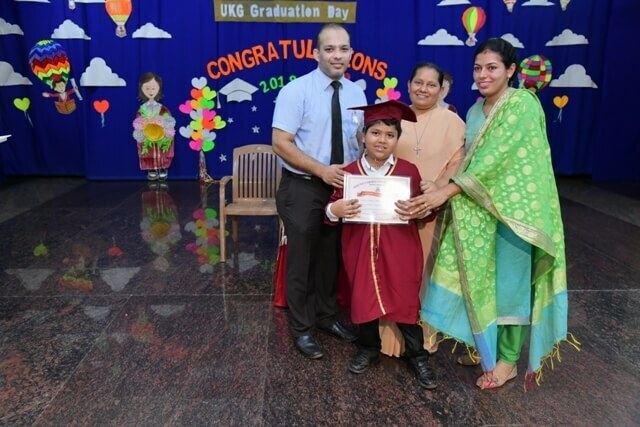 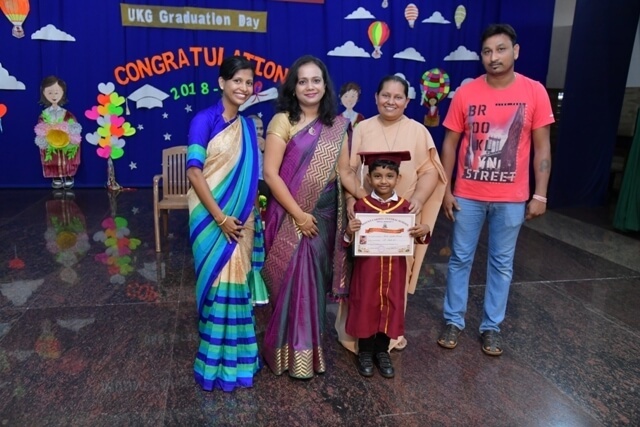 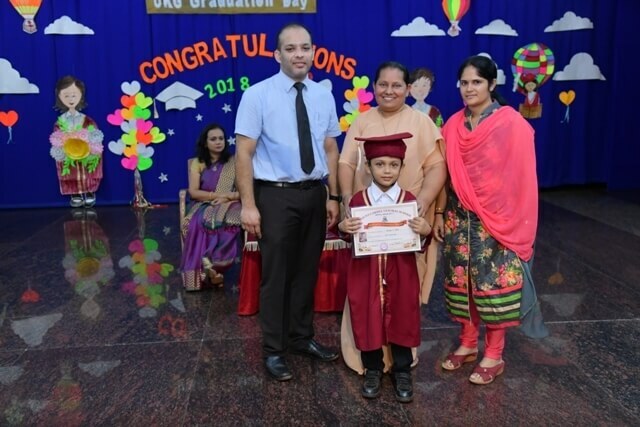 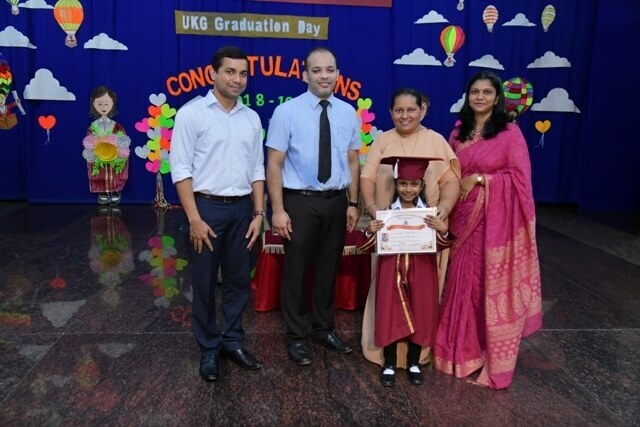 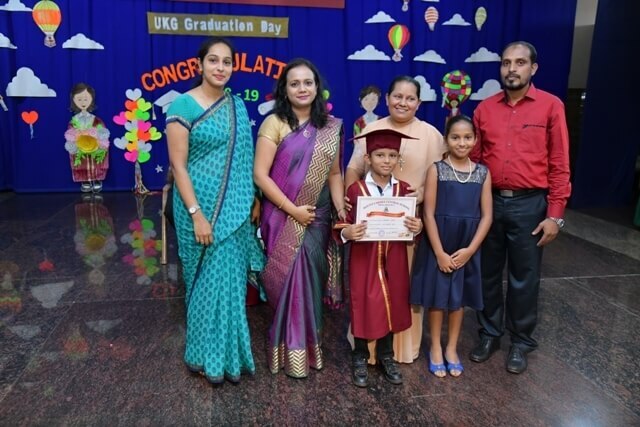 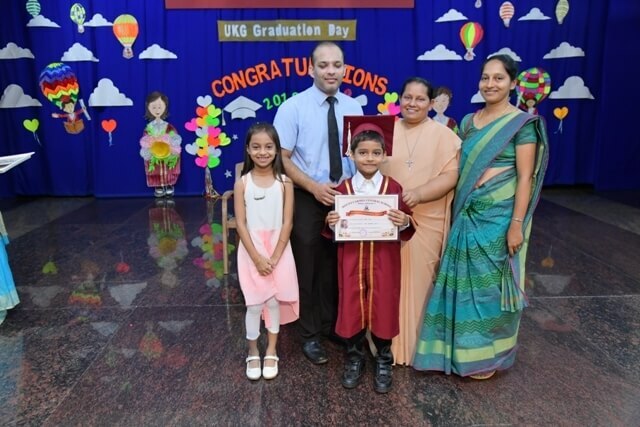 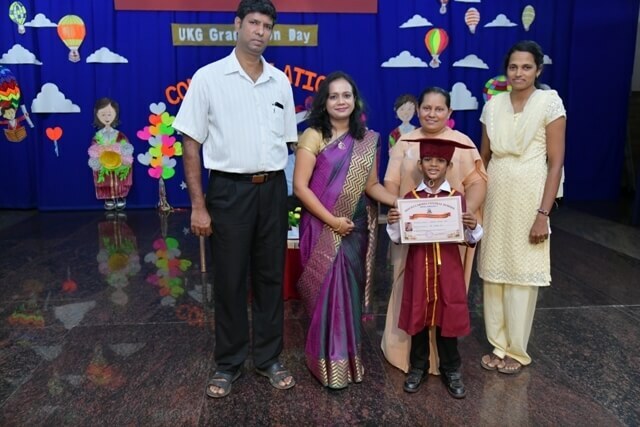 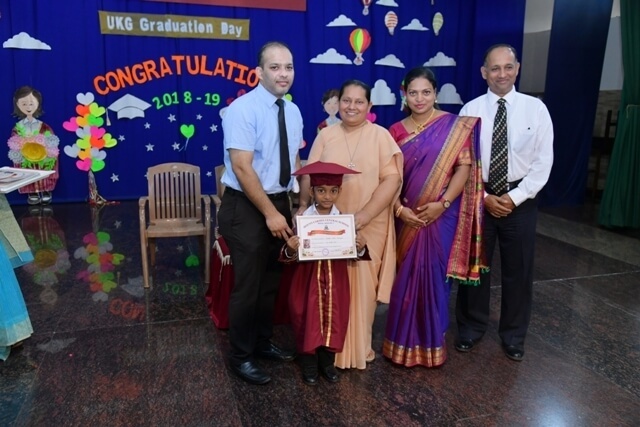 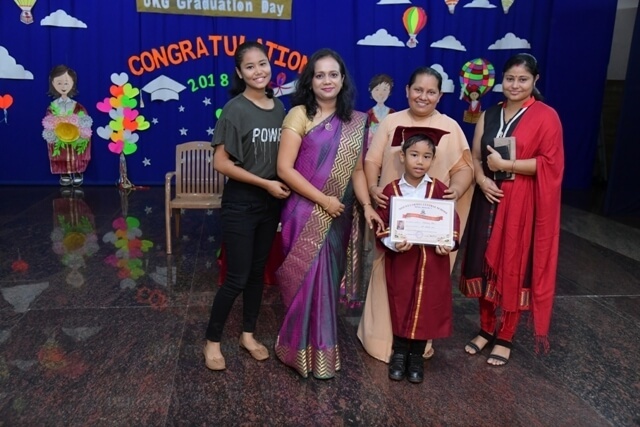 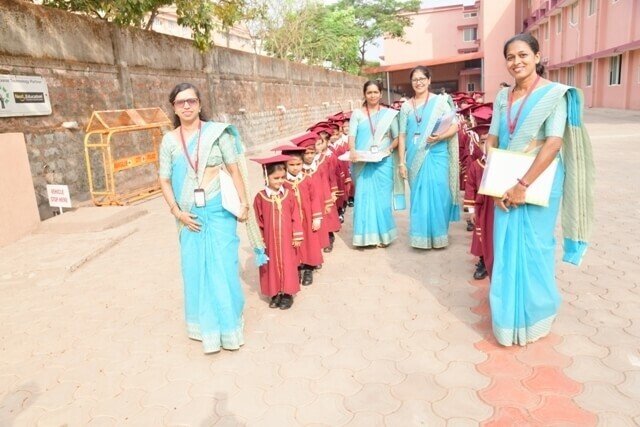 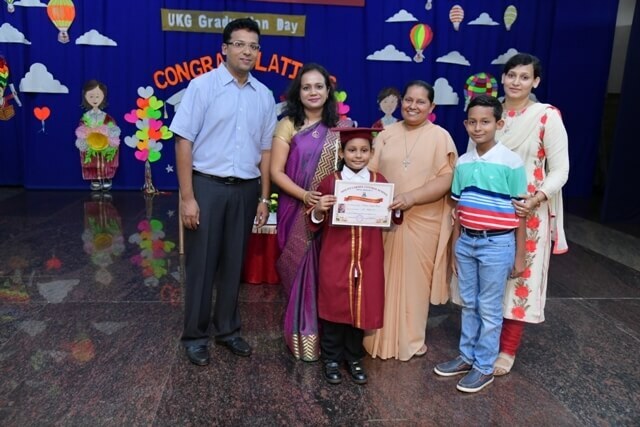 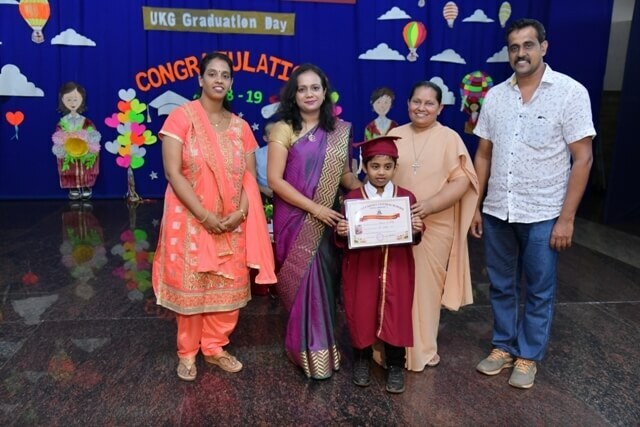 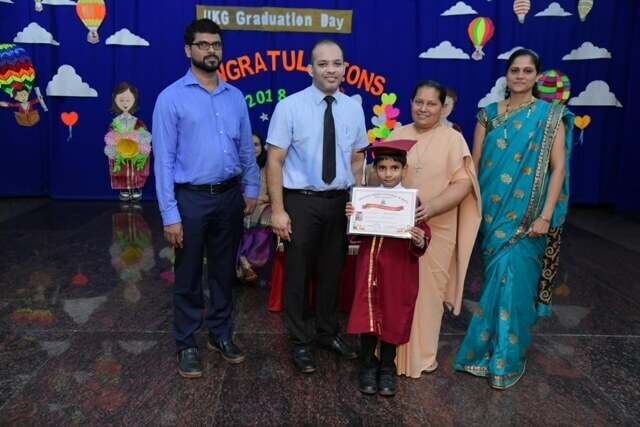 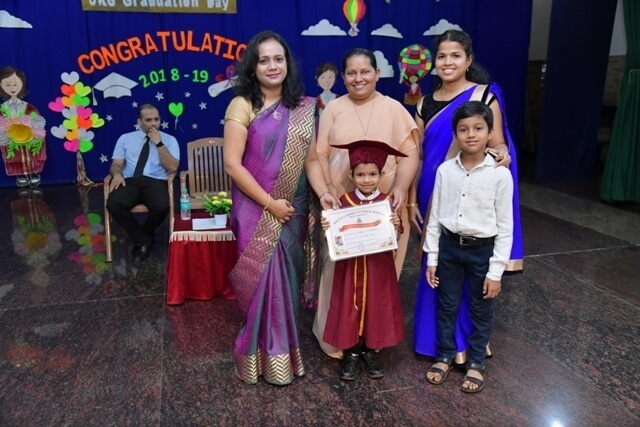 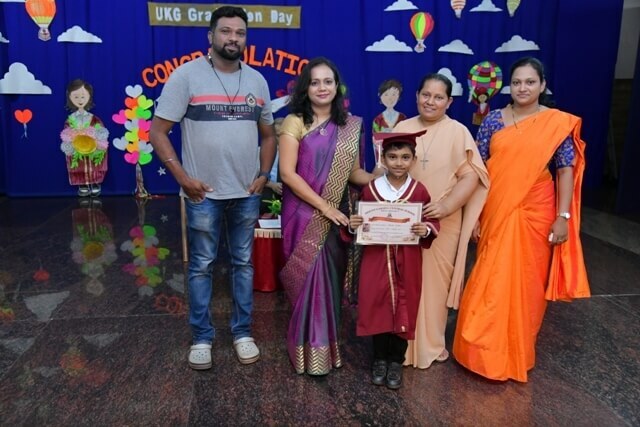 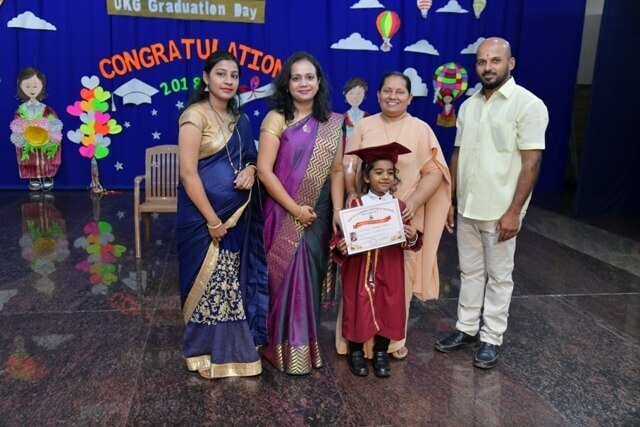 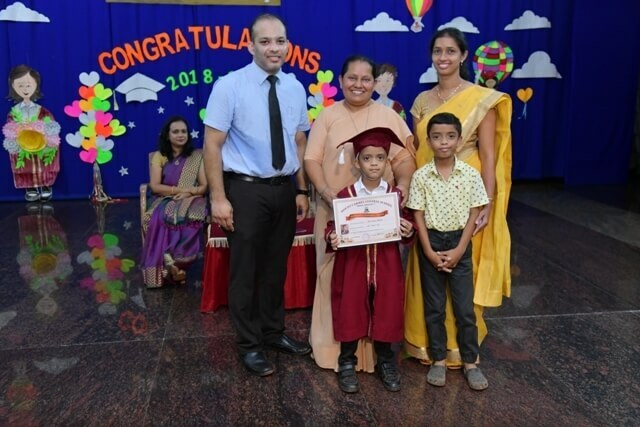 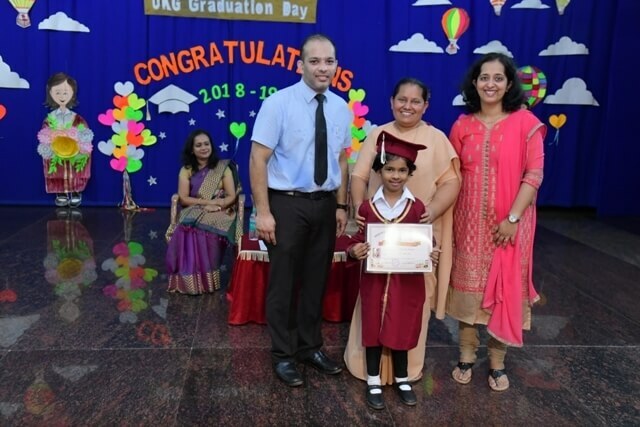 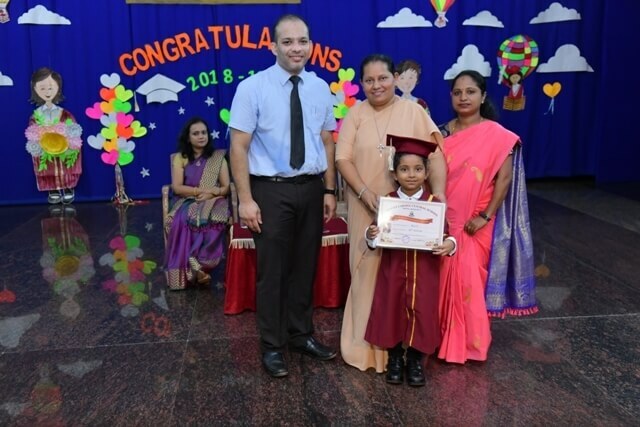 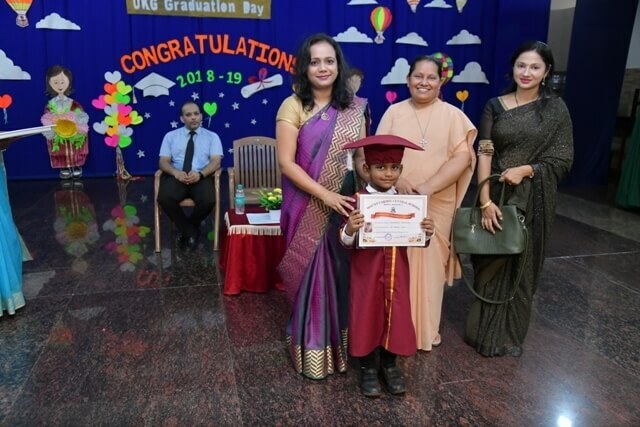 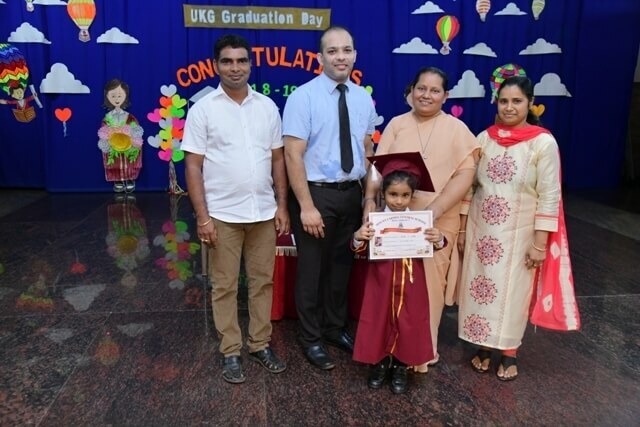 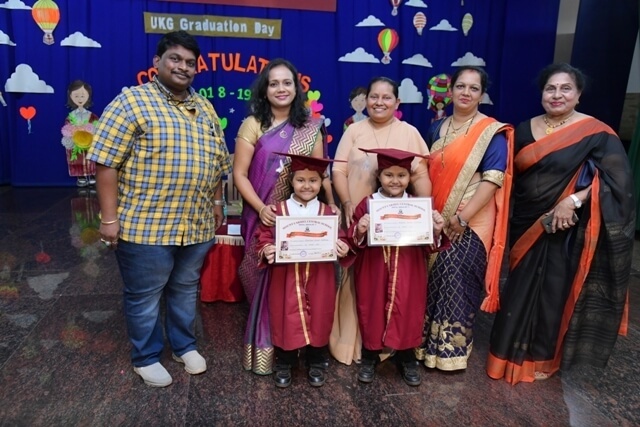 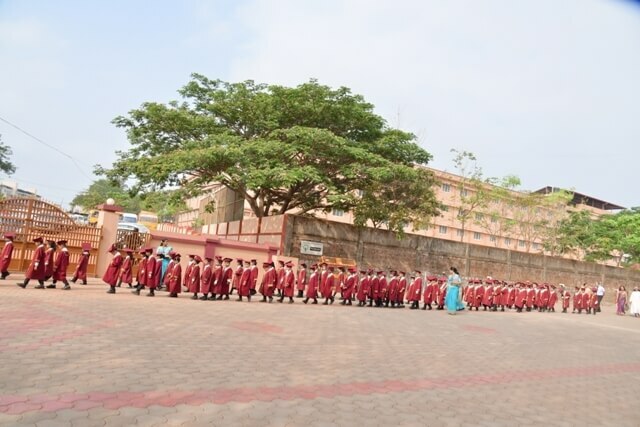 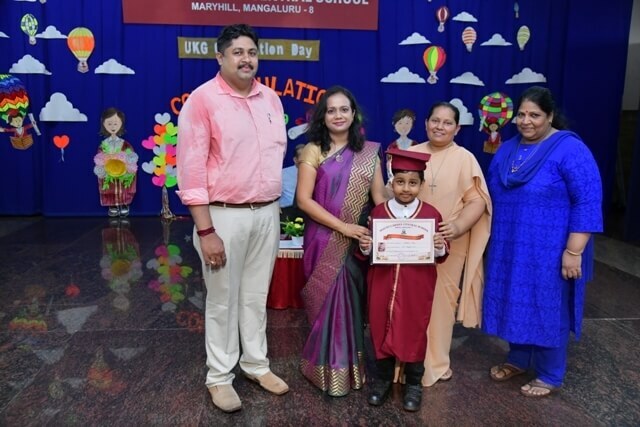 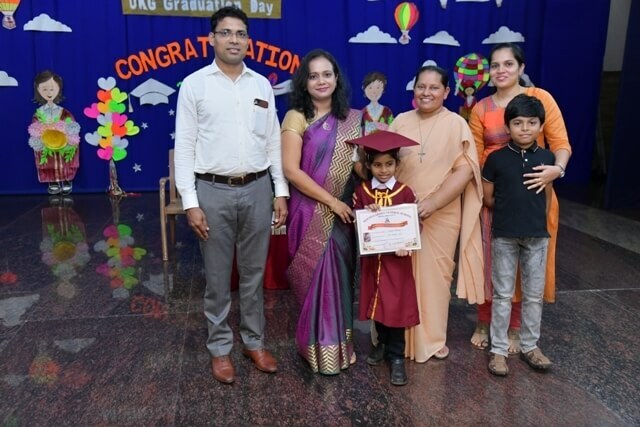 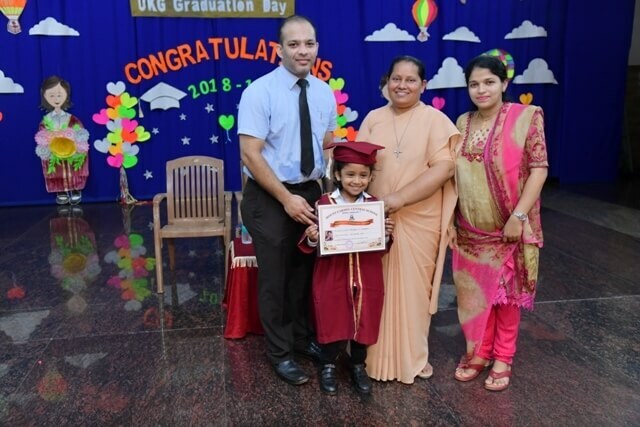 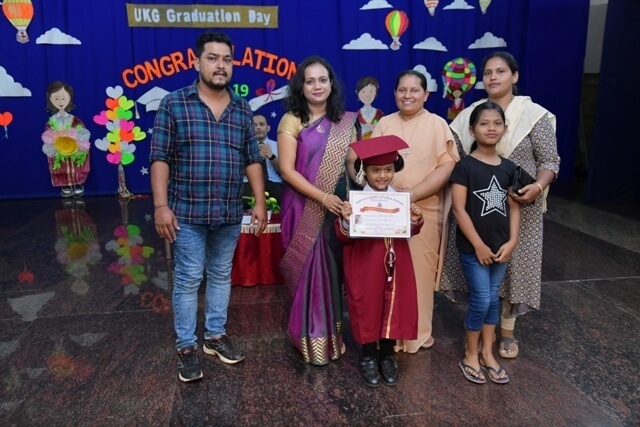 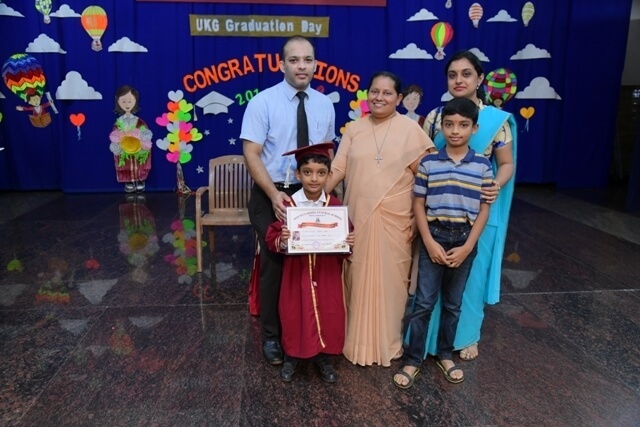 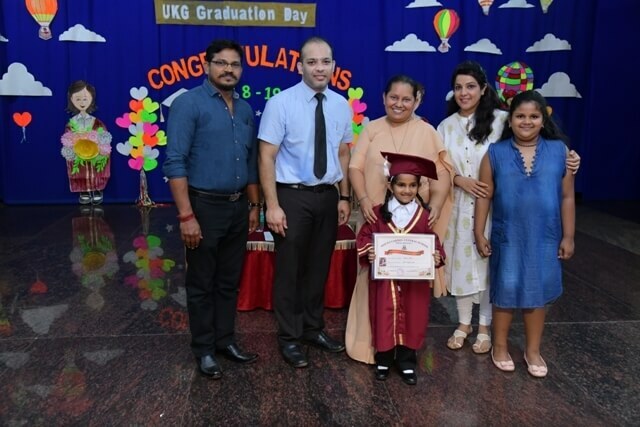 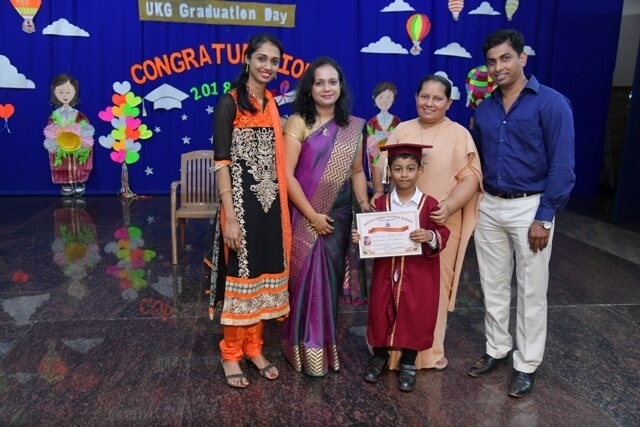 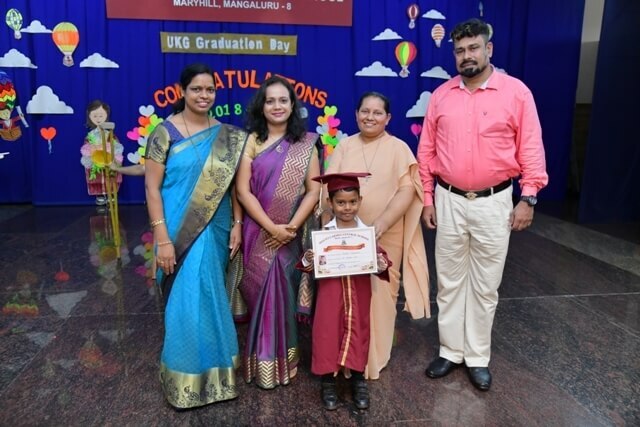 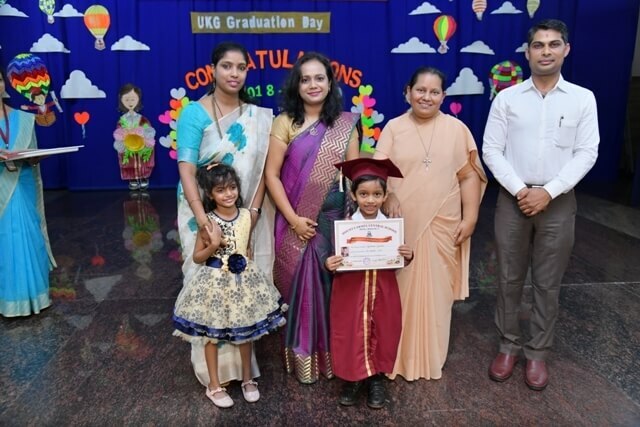 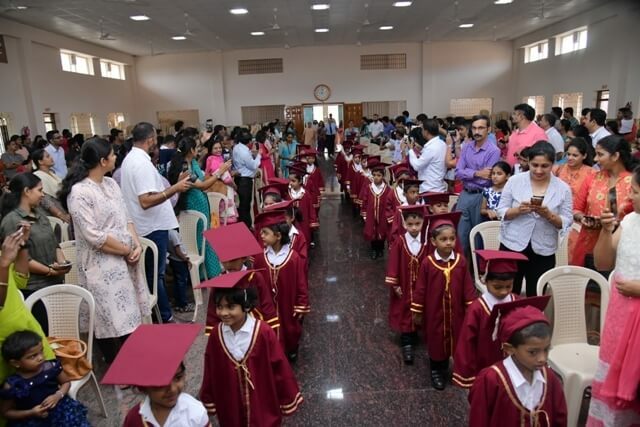 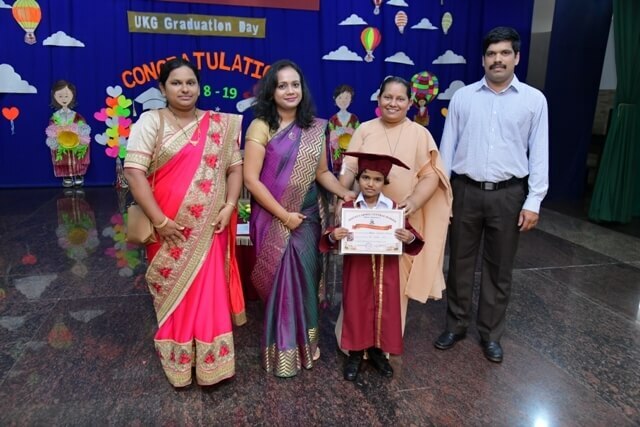 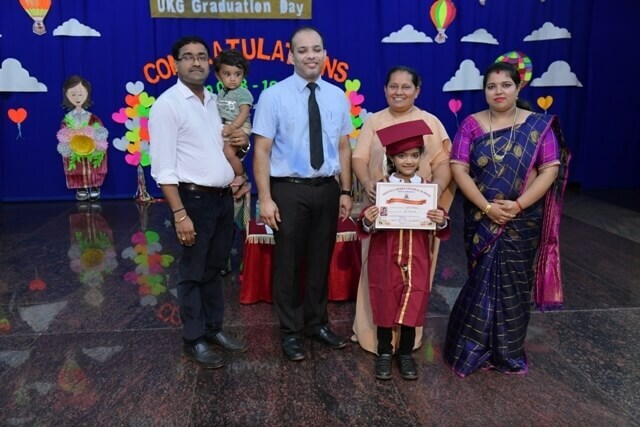 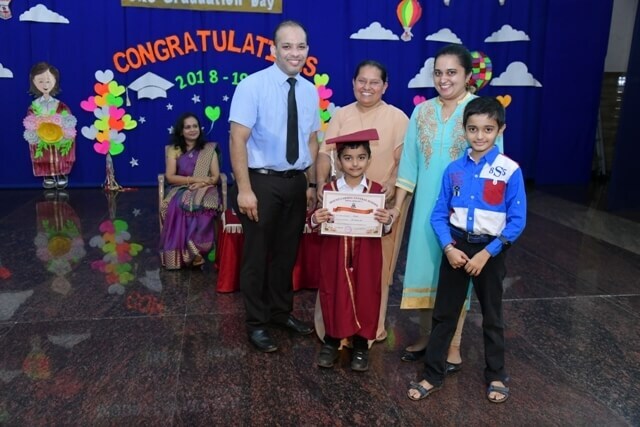 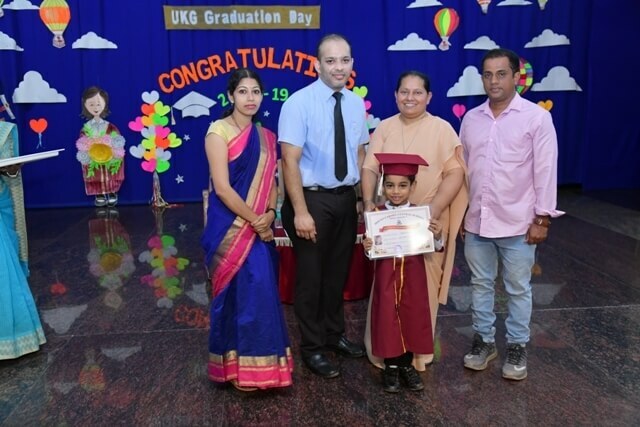 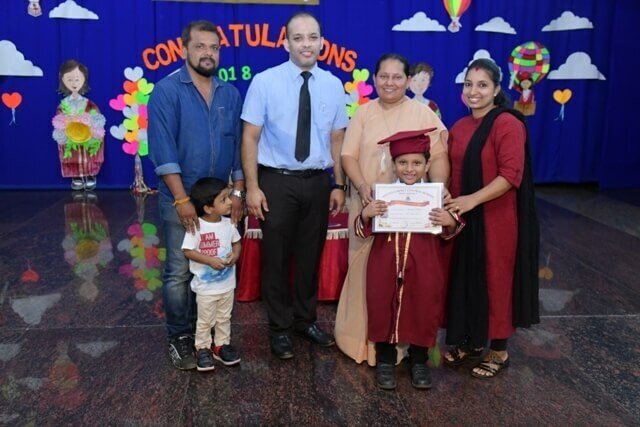 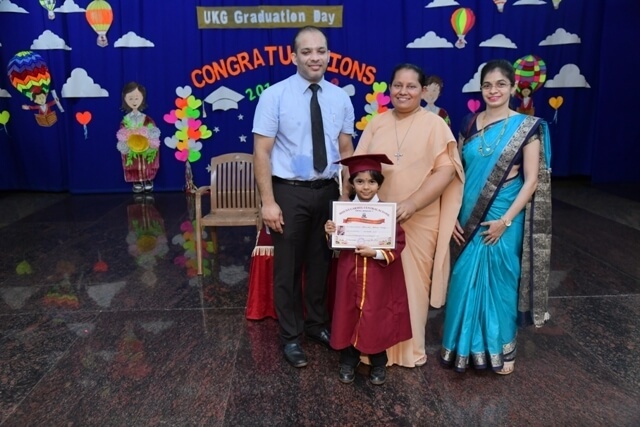 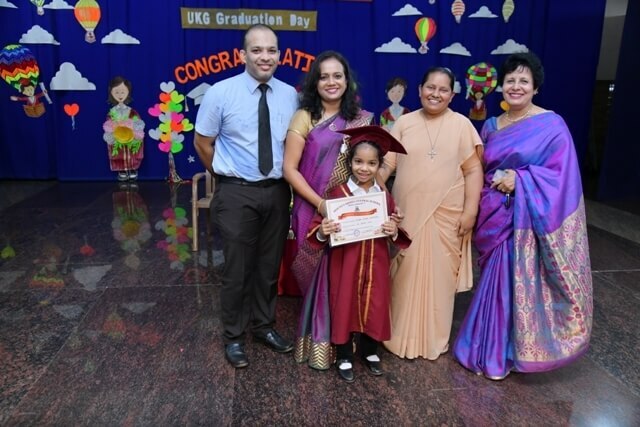 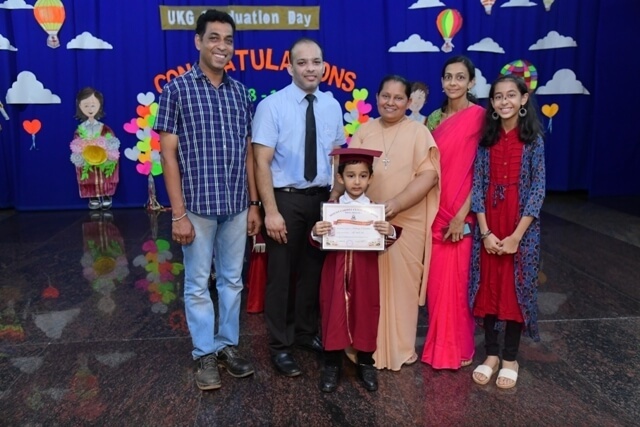 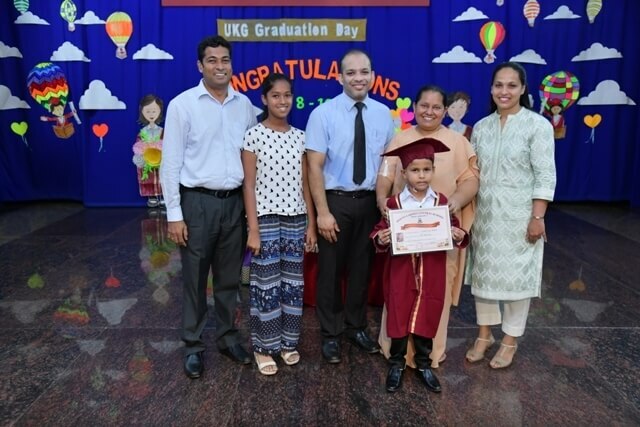 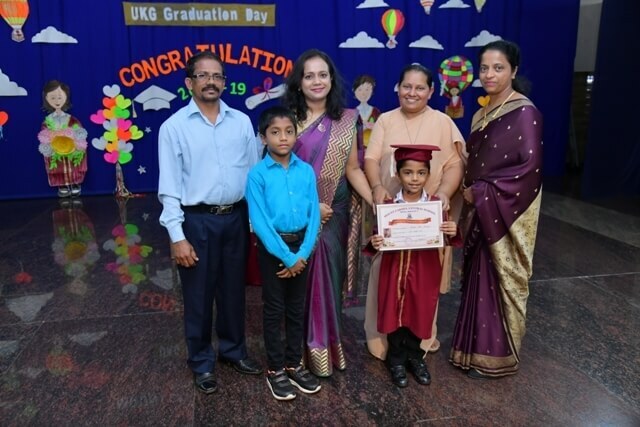 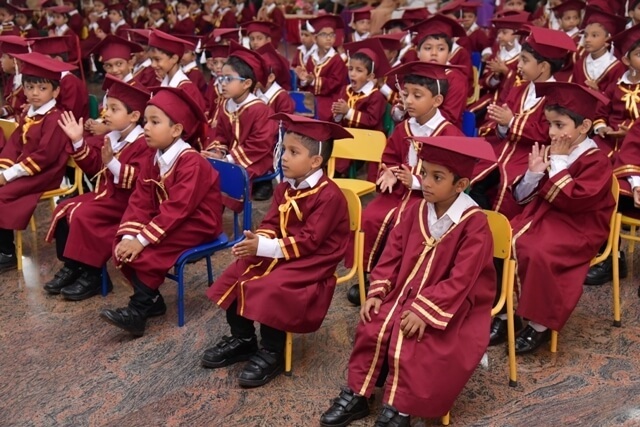 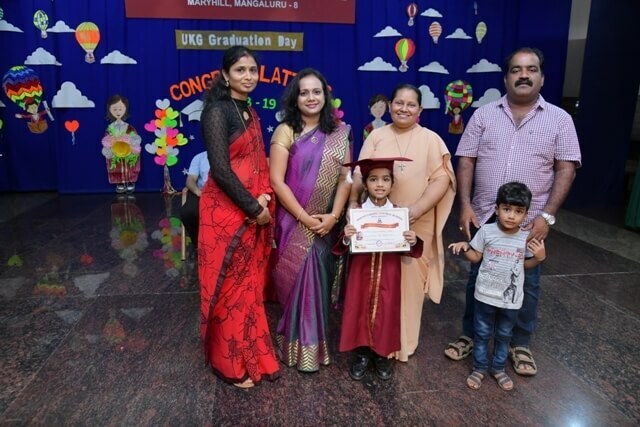 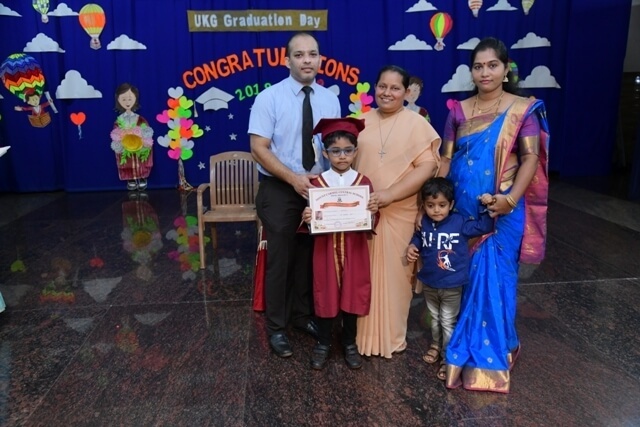 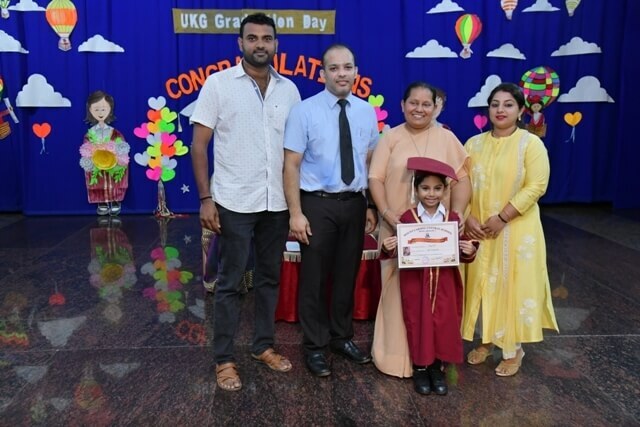 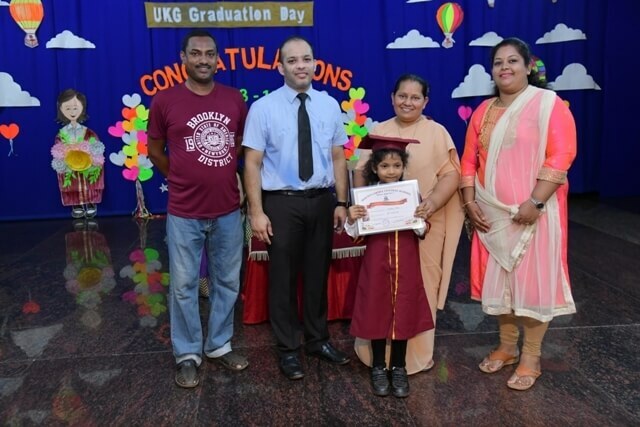 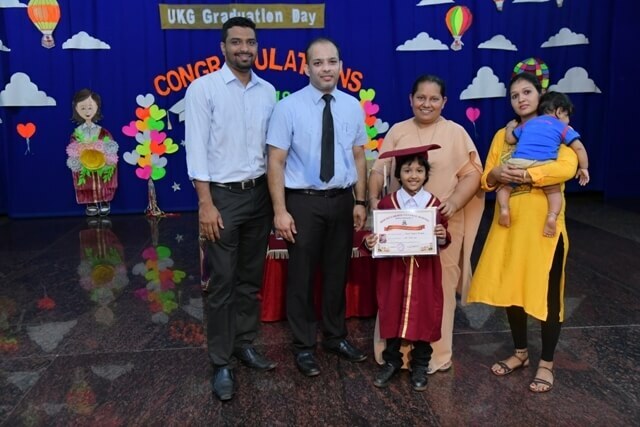 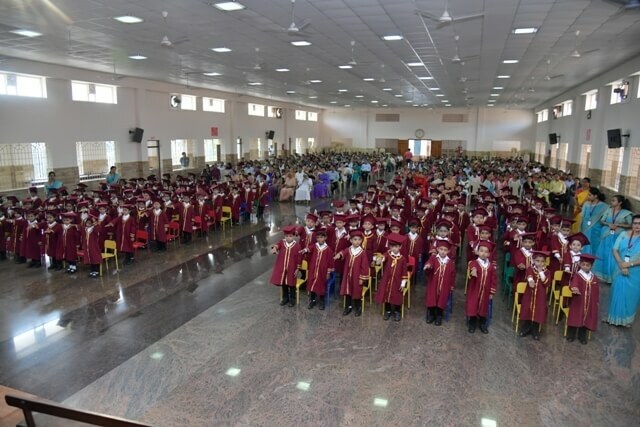 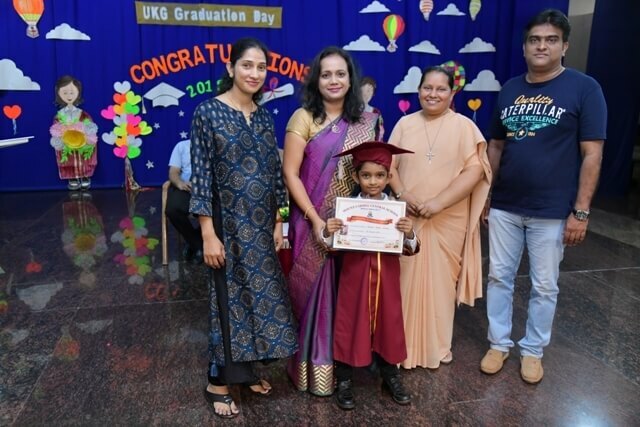 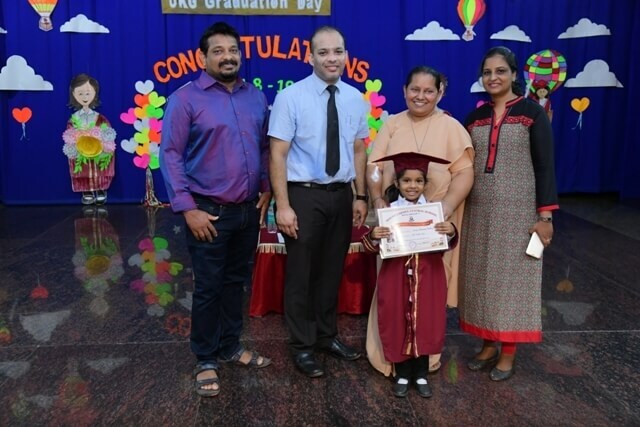 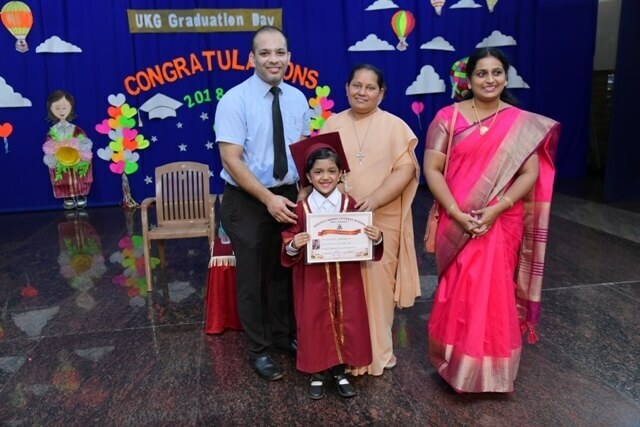 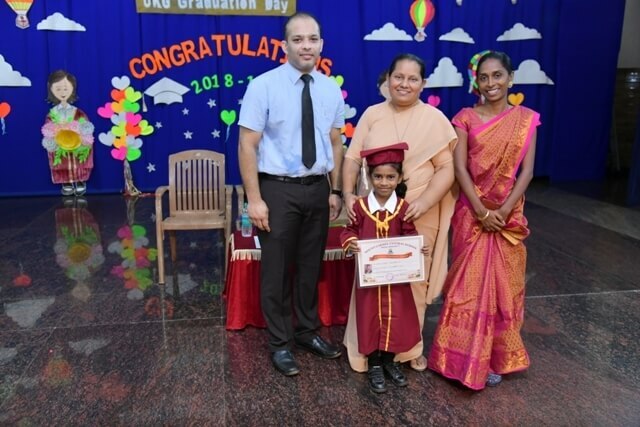 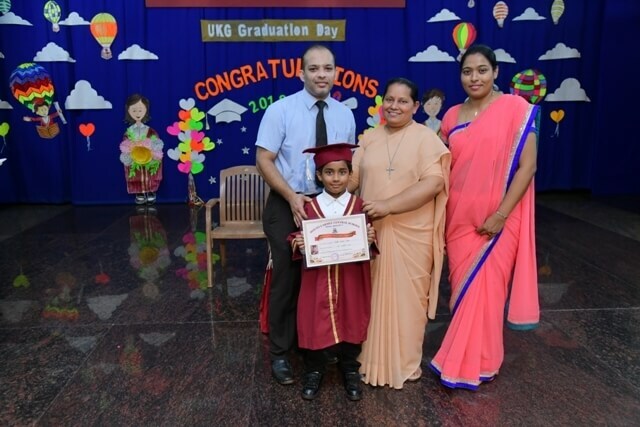 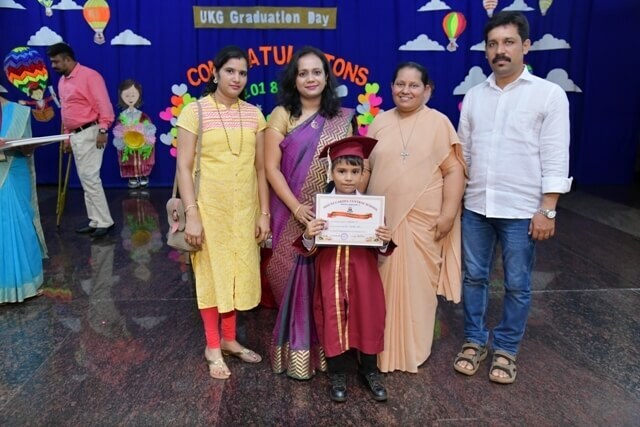 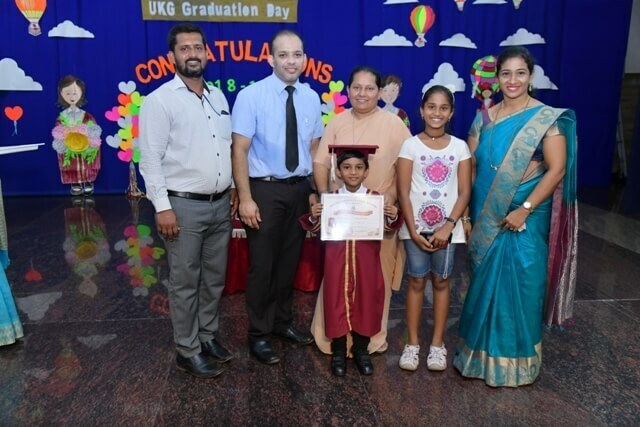 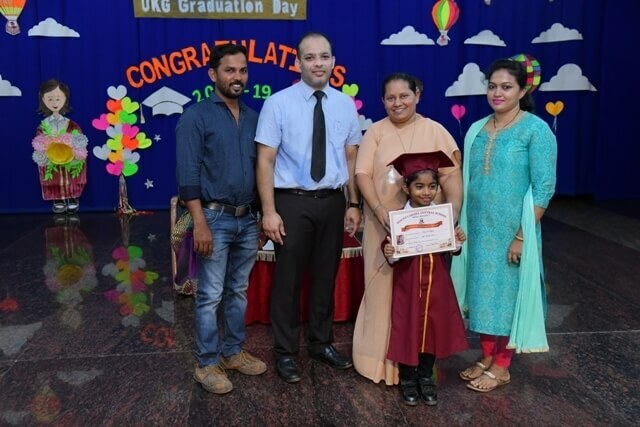 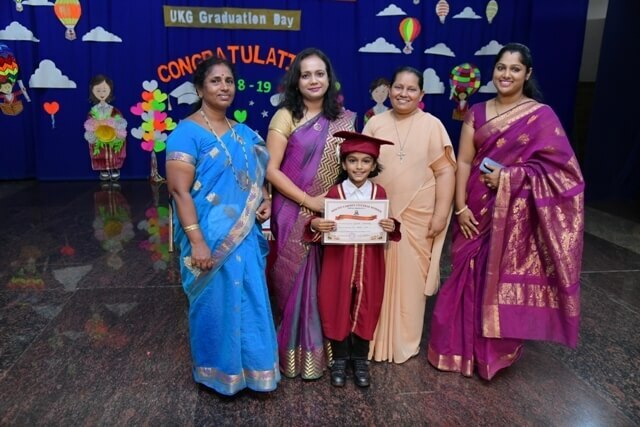 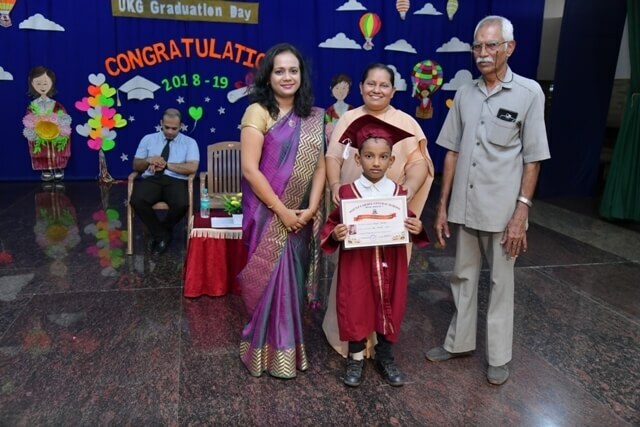 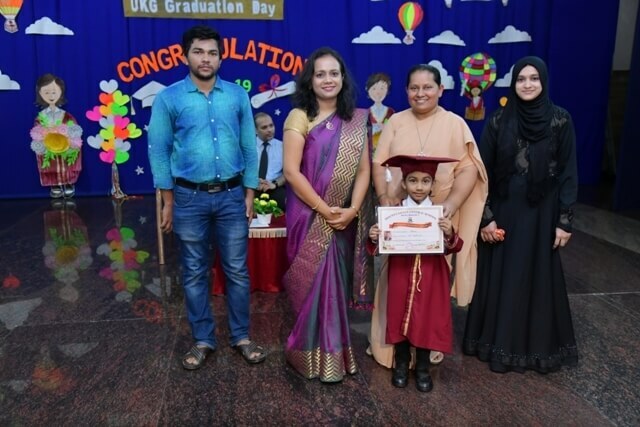 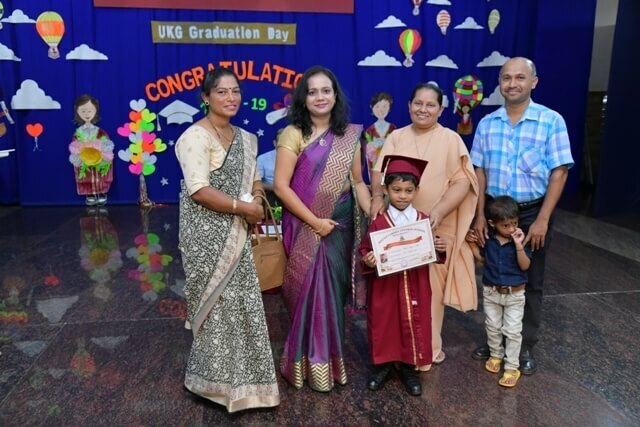 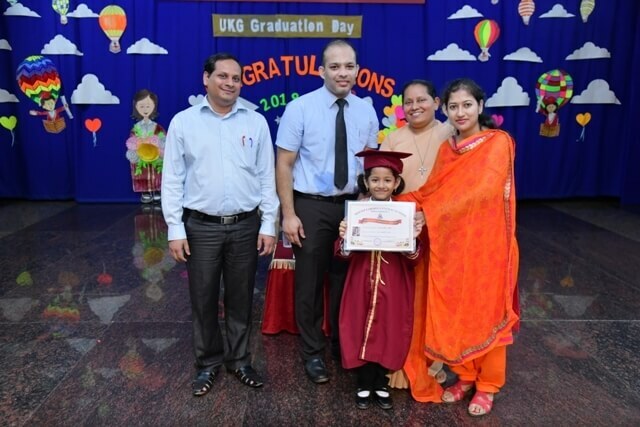 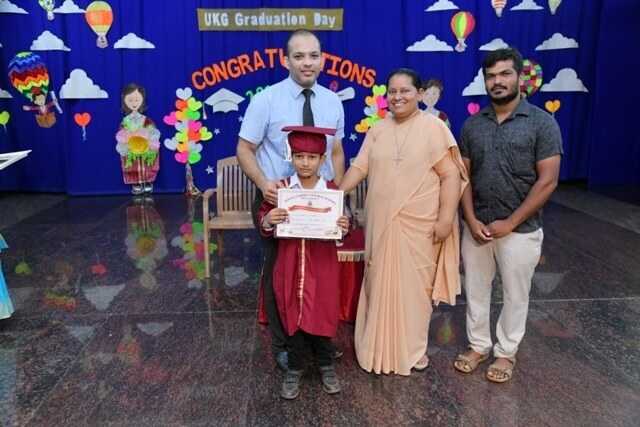 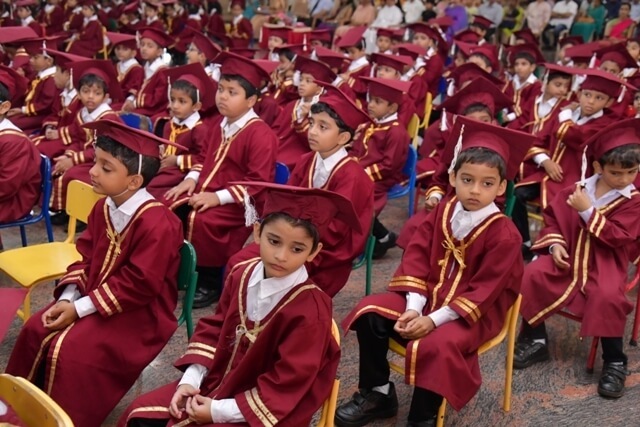 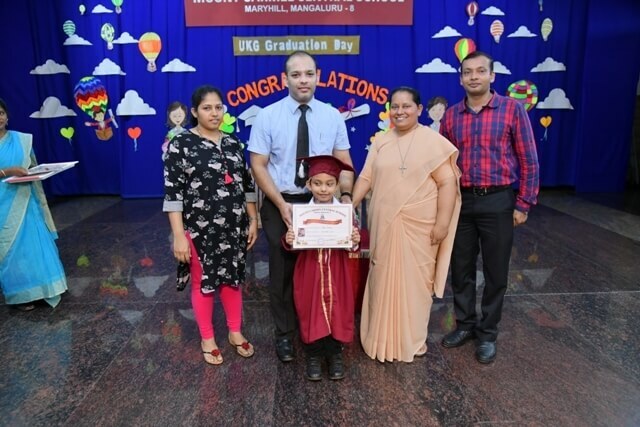 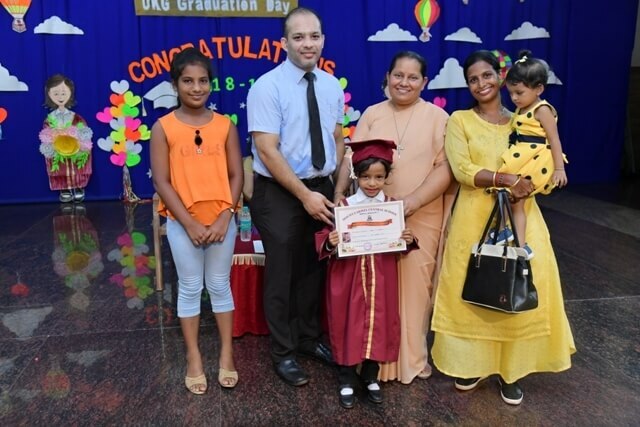 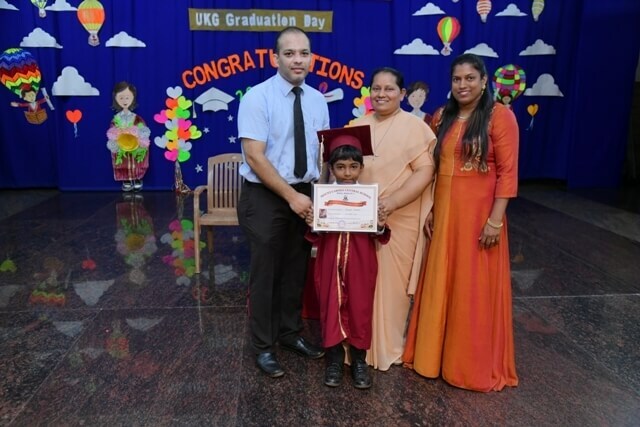 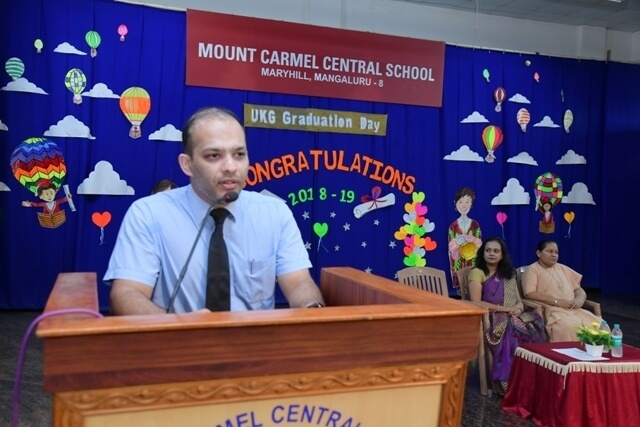 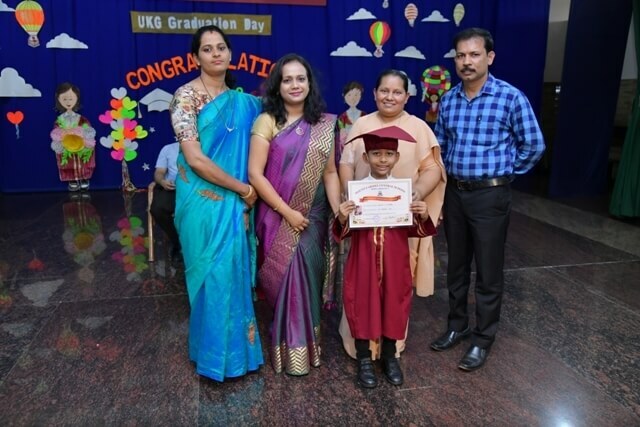 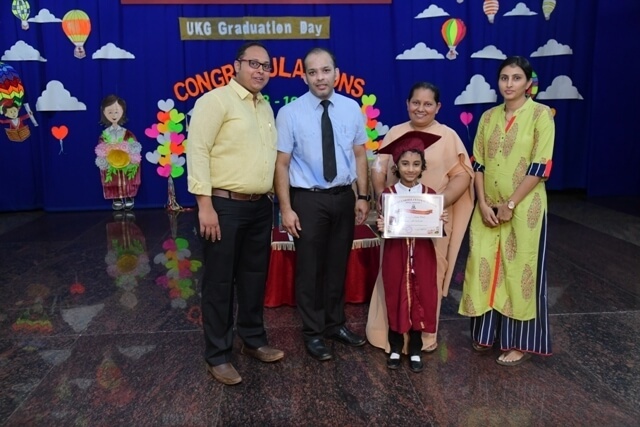 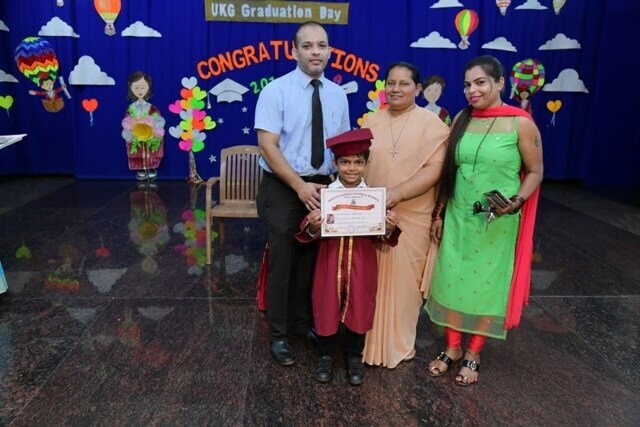 Our students of UKG, so very beautiful and sprightly, dressed in their graduation robes and caps, received a standing ovation as they marched into the venue along with the Chief Guest Dr. Vivian Roshan D’Almeida and his spouse Dr. Joylene D’Almeida, Principal Sr. Melissa and the members of the management. 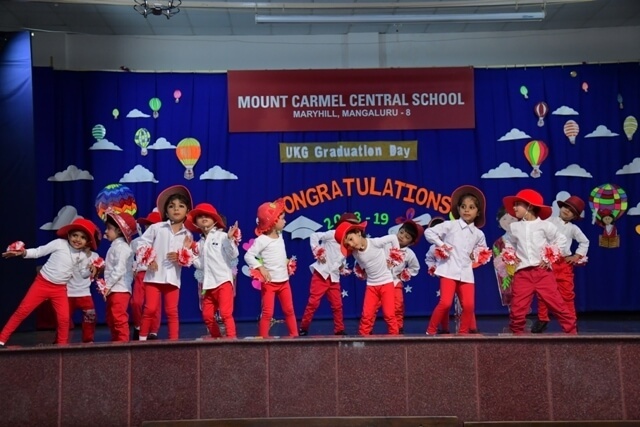 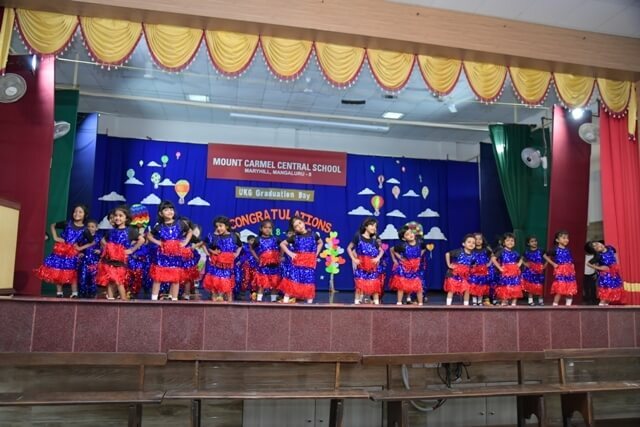 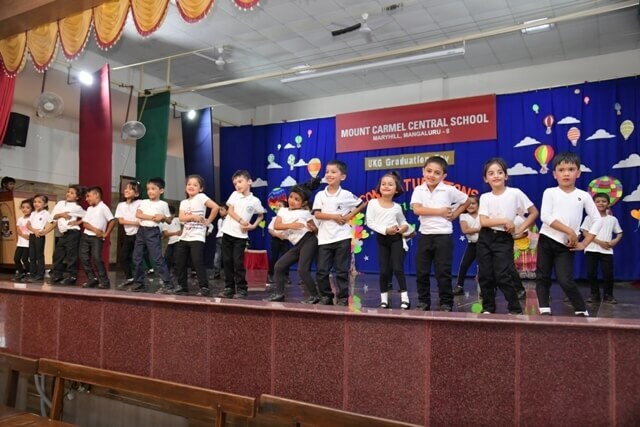 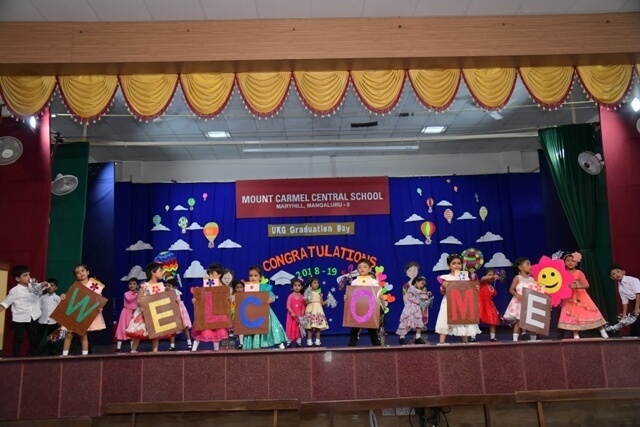 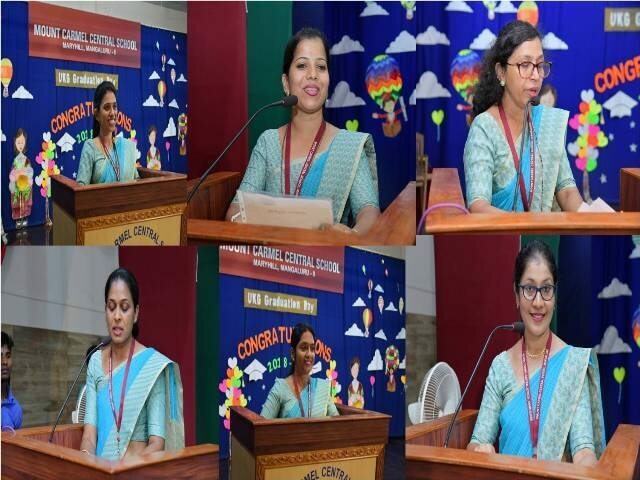 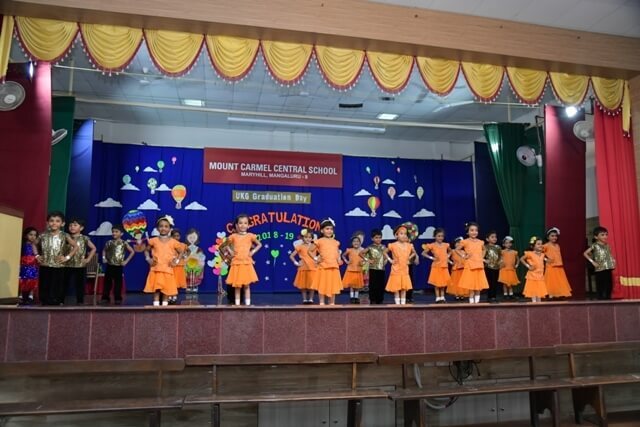 Teacher Joyce welcomed the guests with warm words and the little ones of the Nursery welcomed the august gathering with their graceful moves. 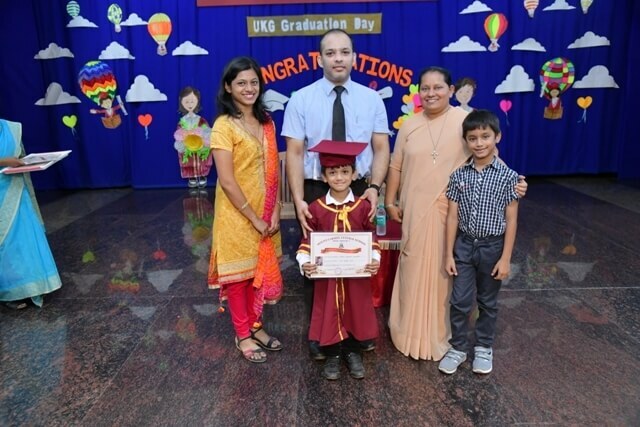 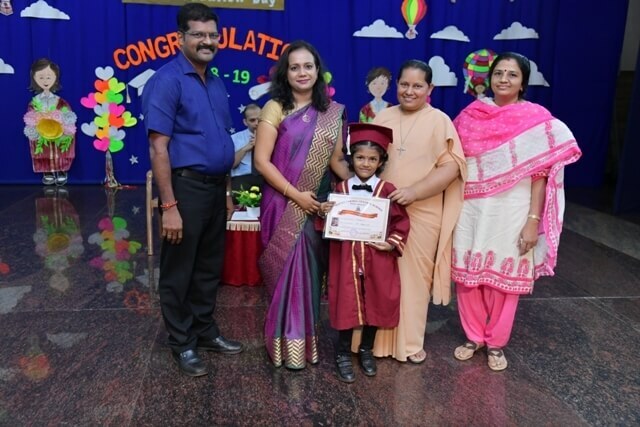 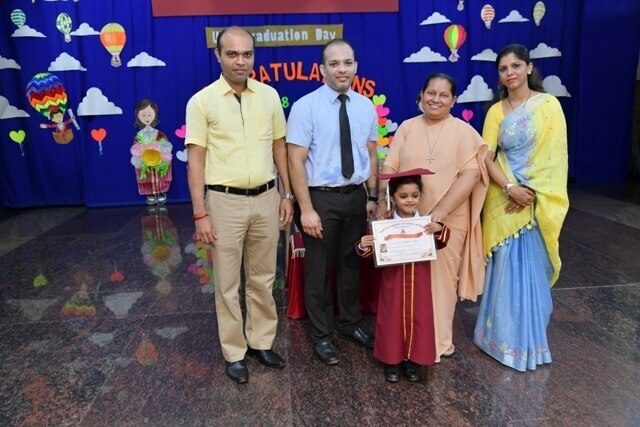 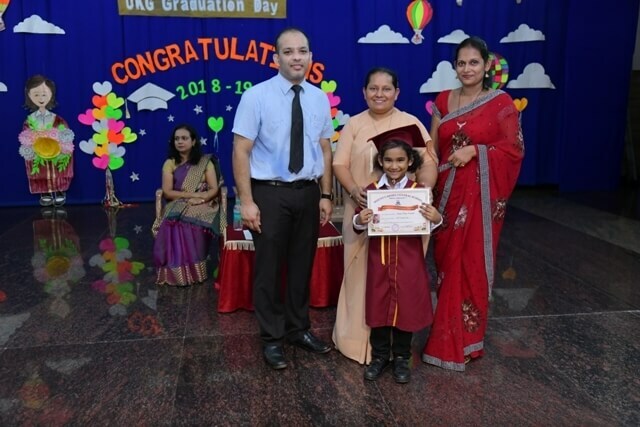 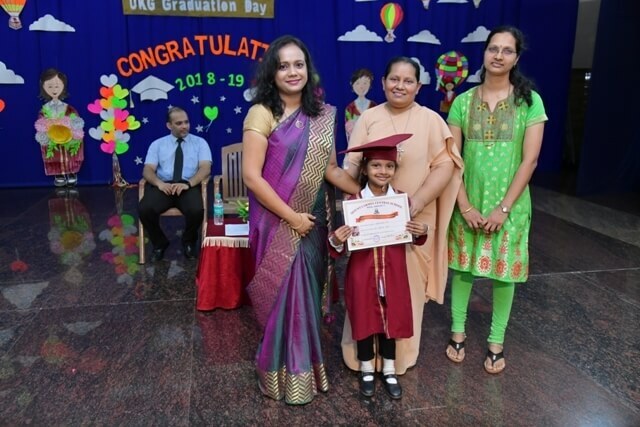 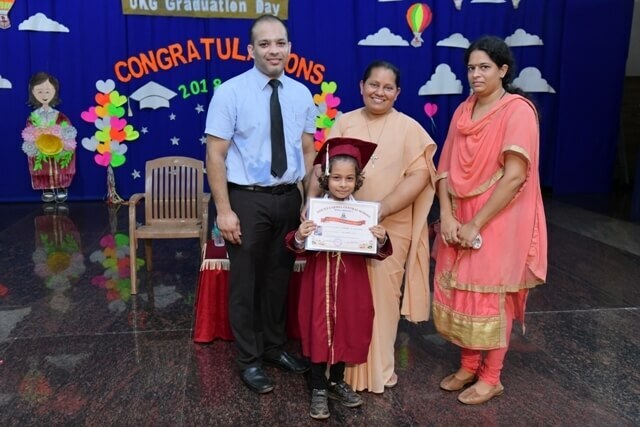 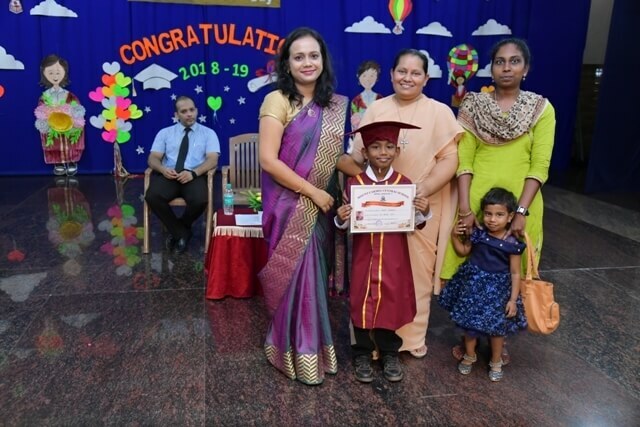 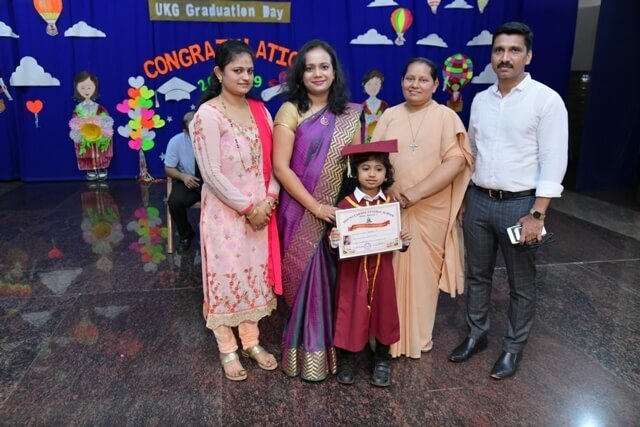 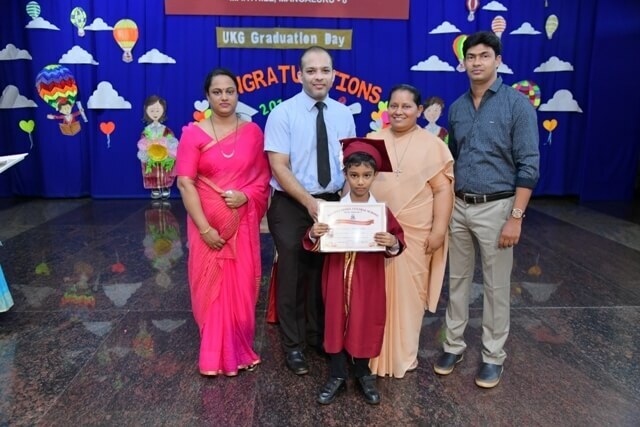 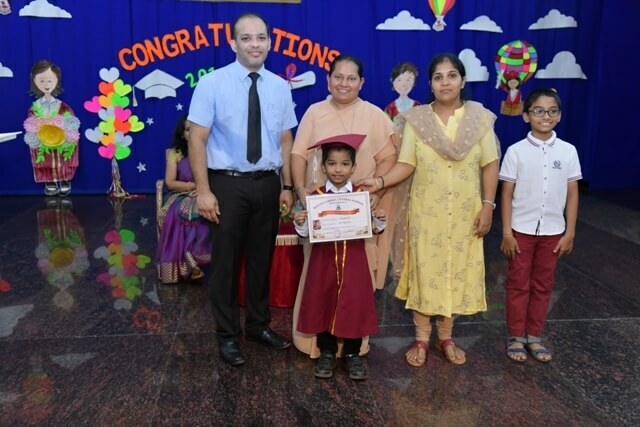 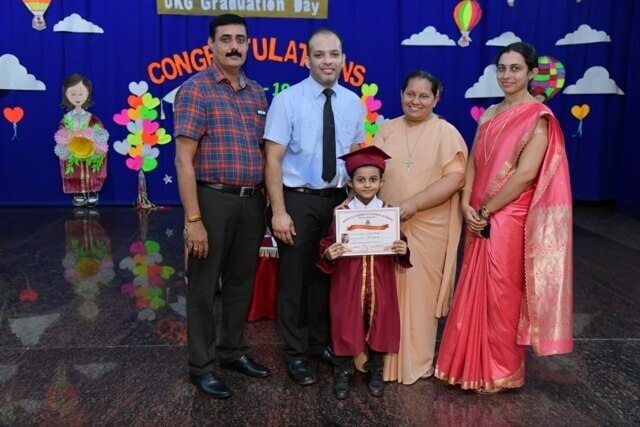 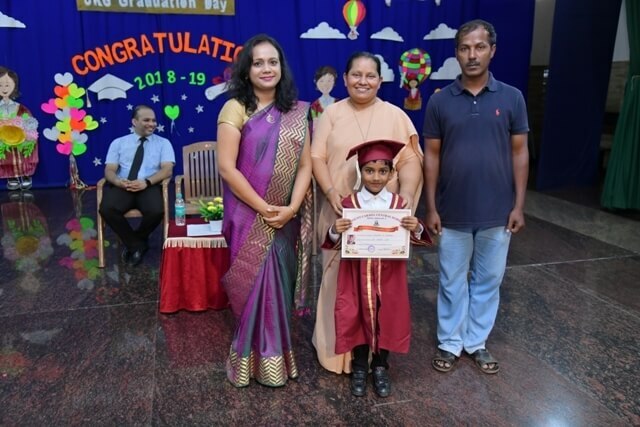 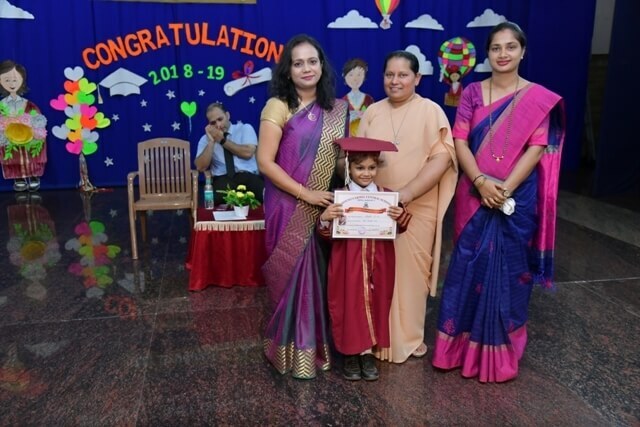 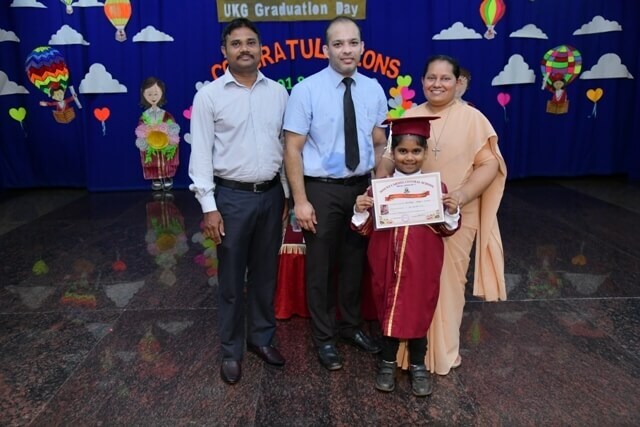 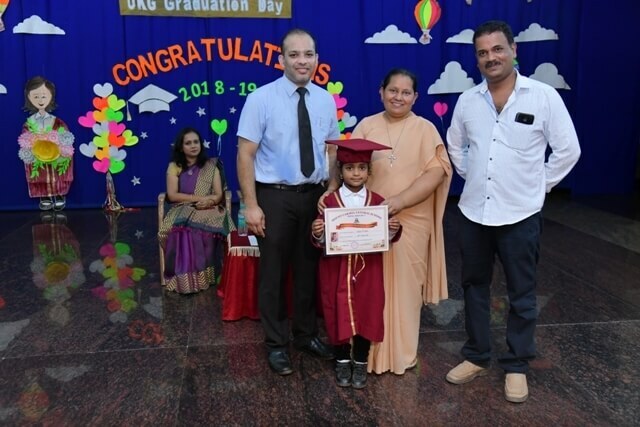 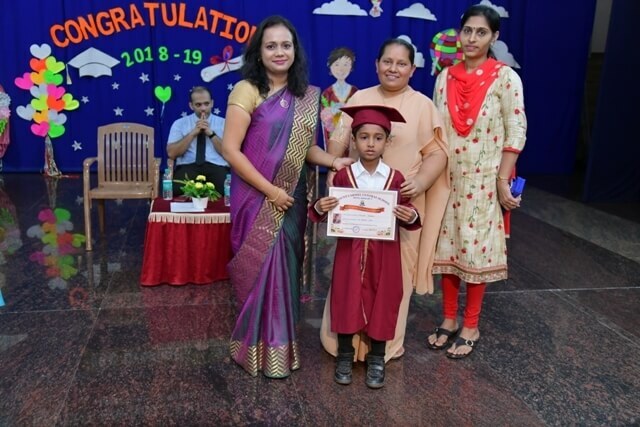 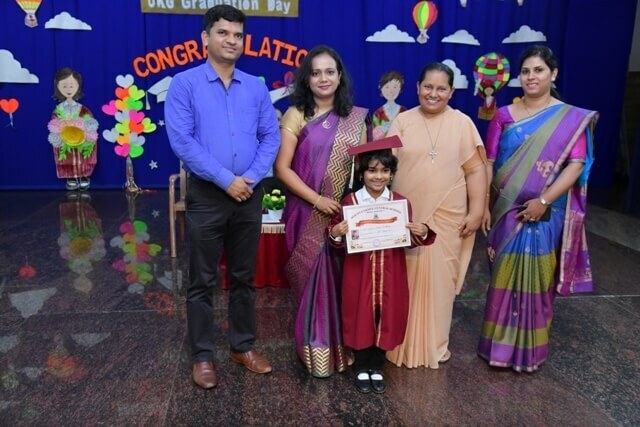 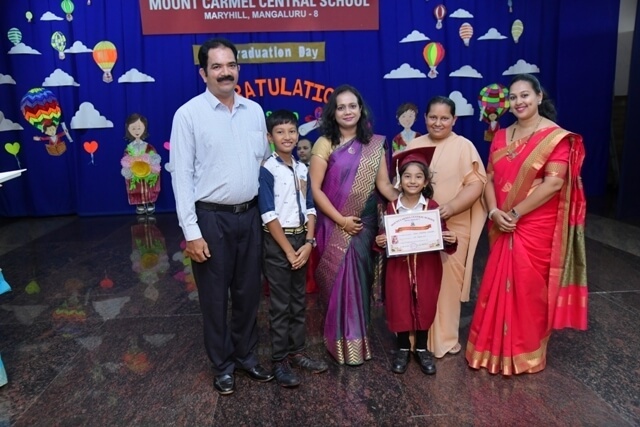 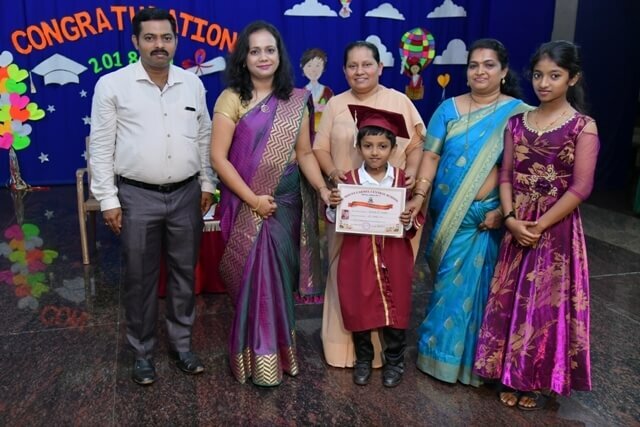 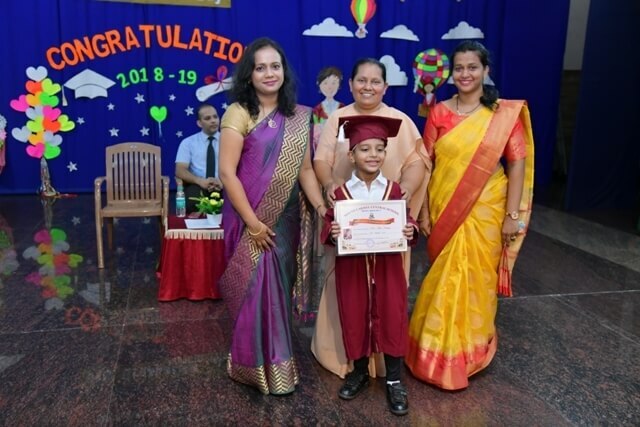 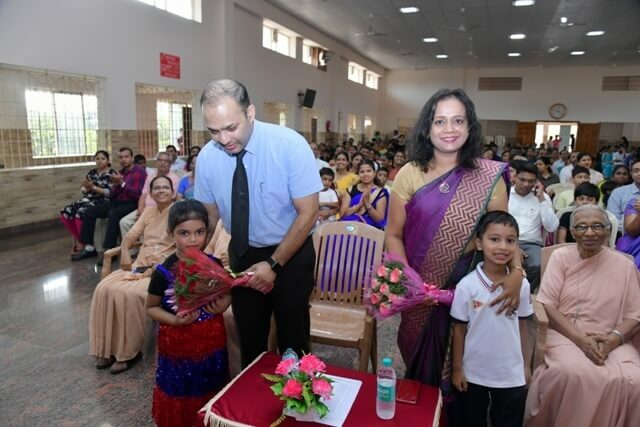 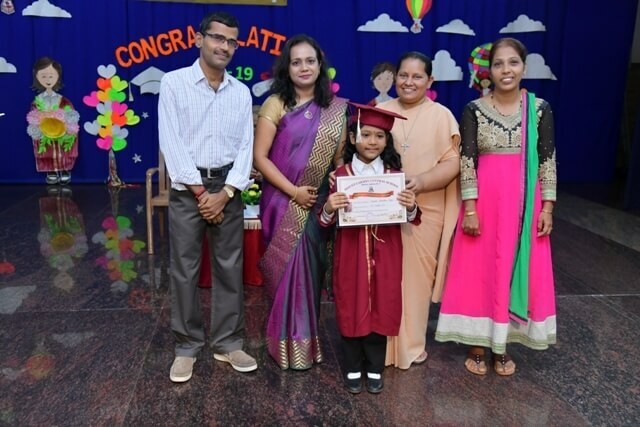 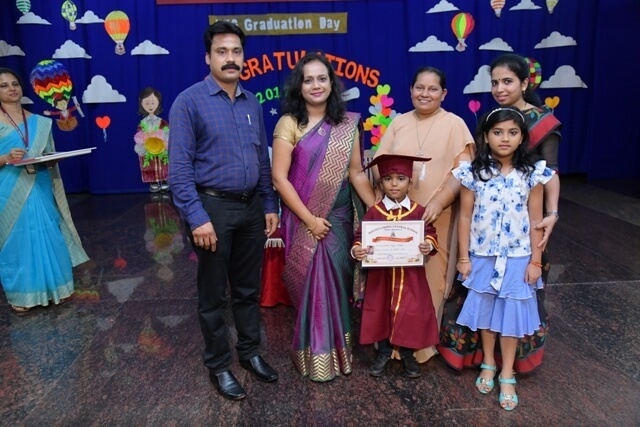 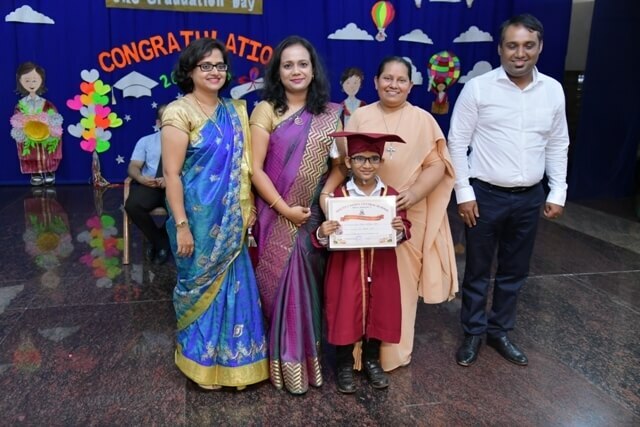 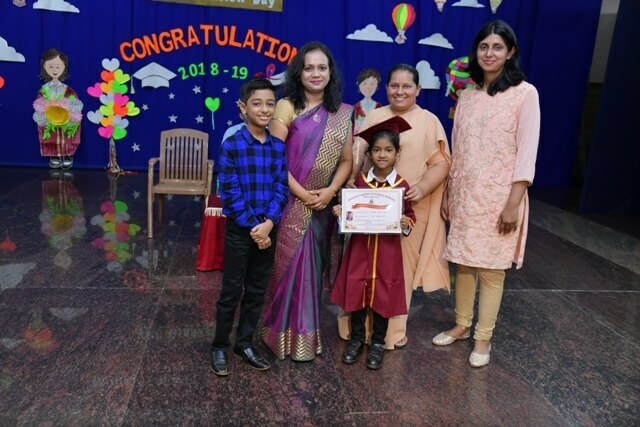 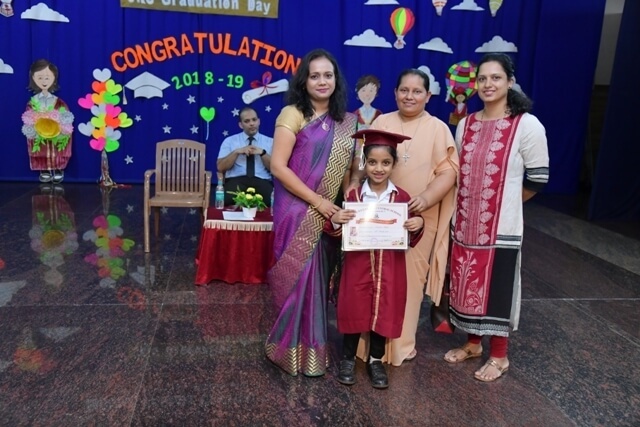 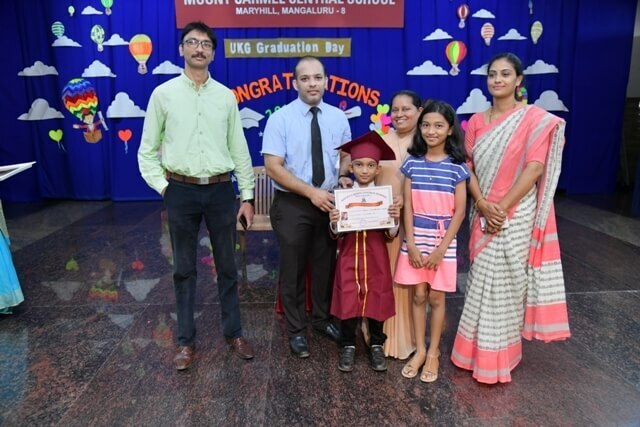 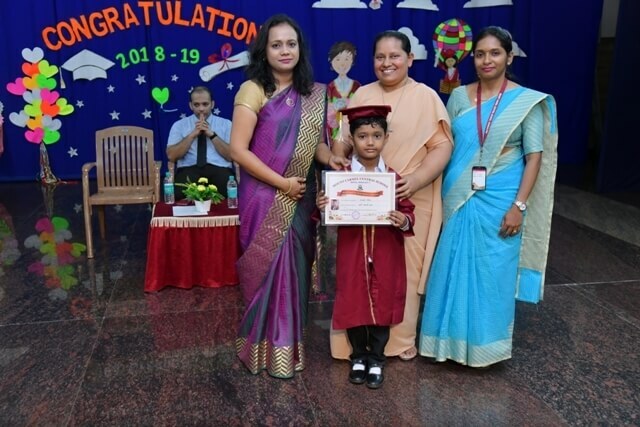 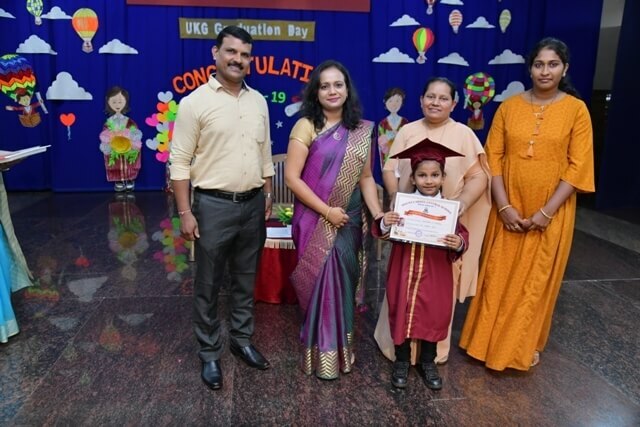 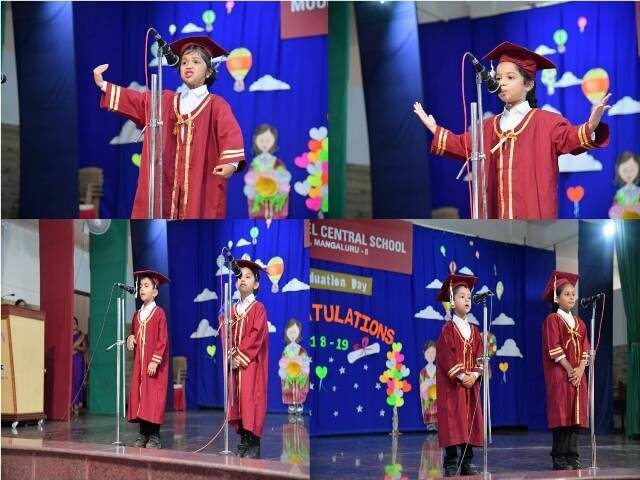 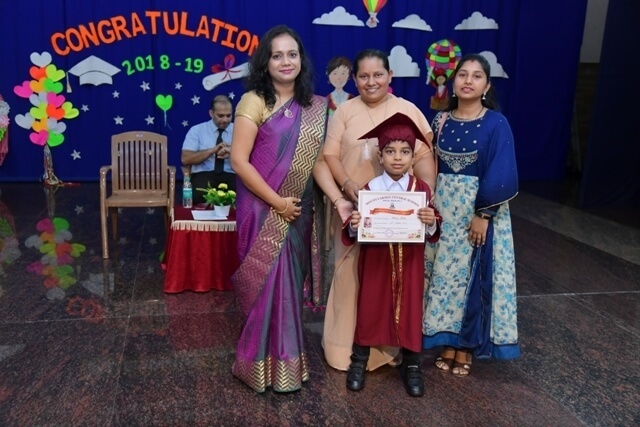 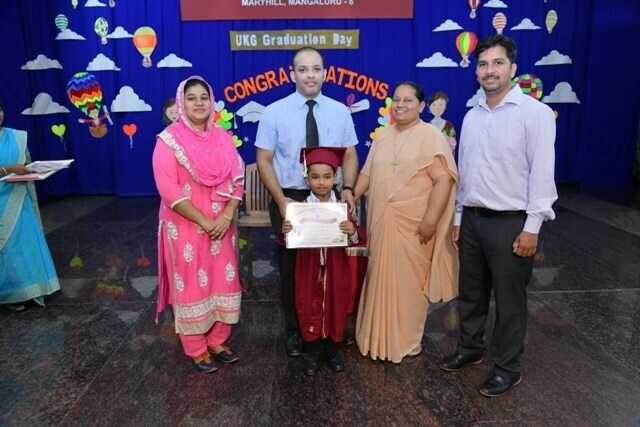 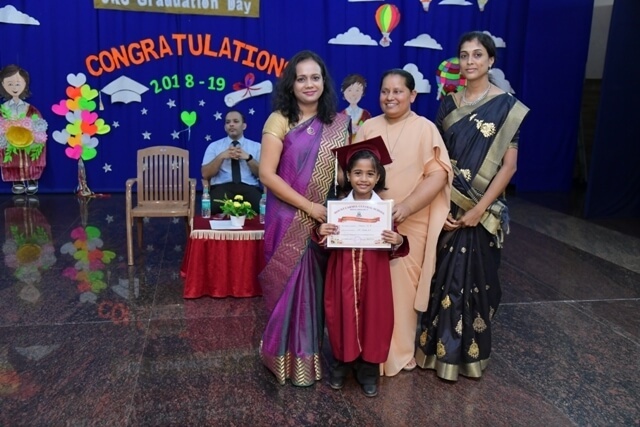 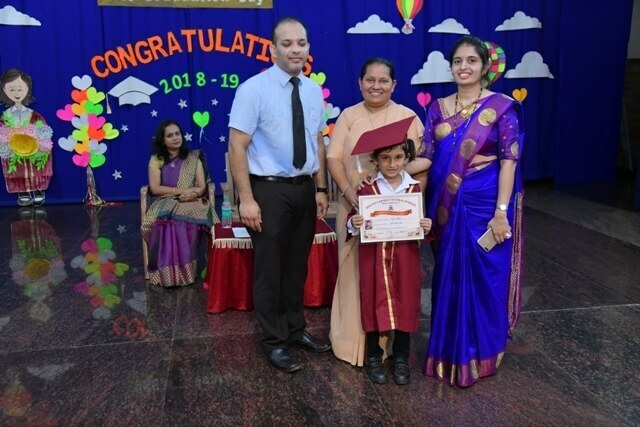 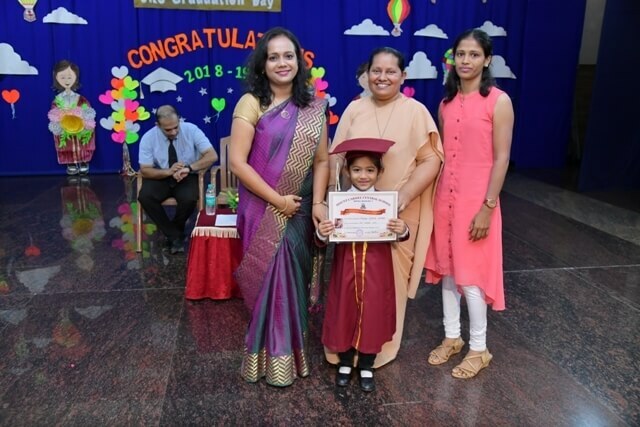 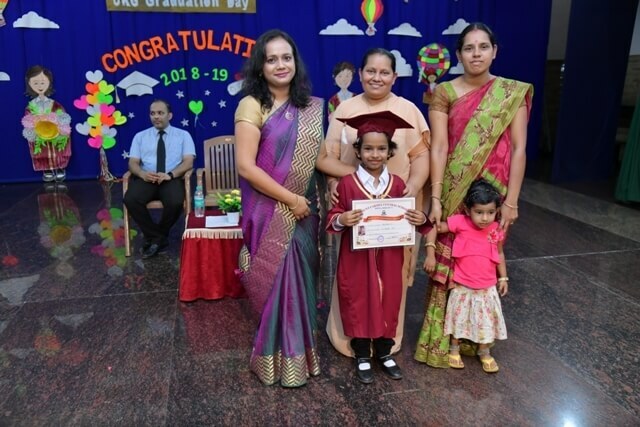 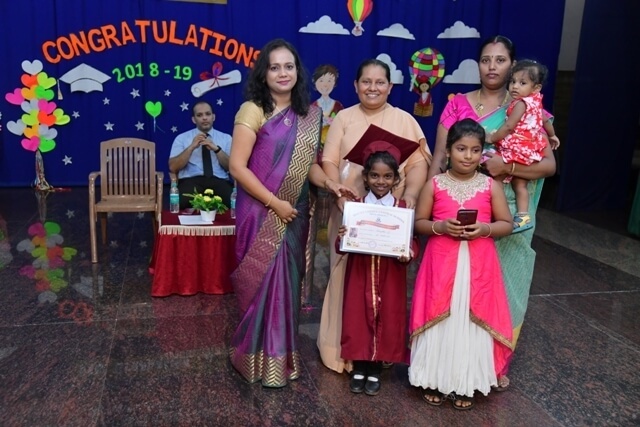 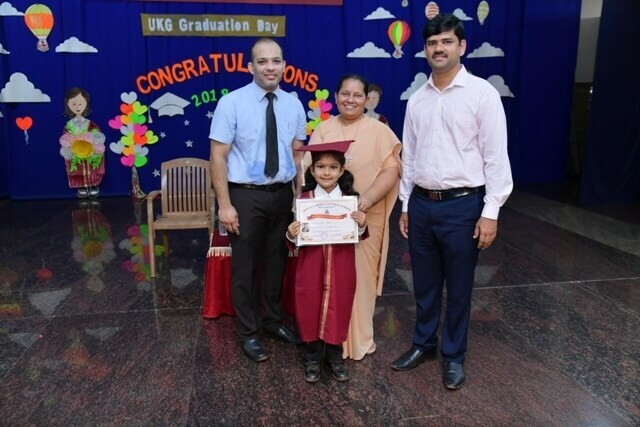 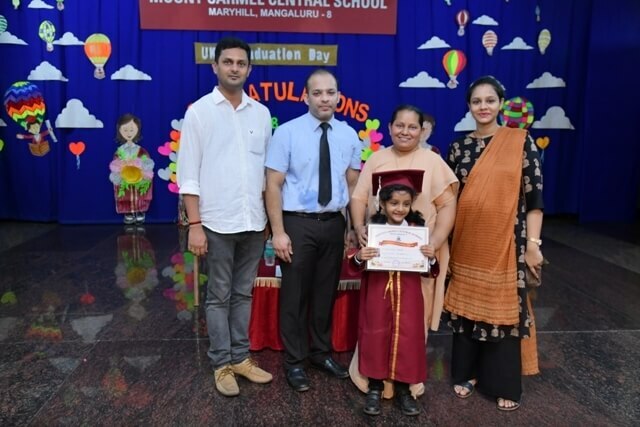 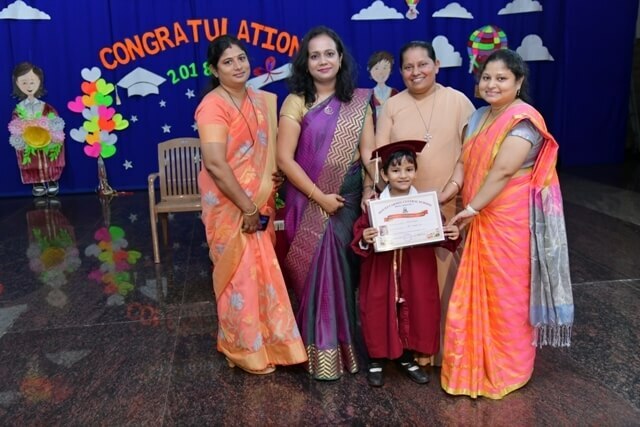 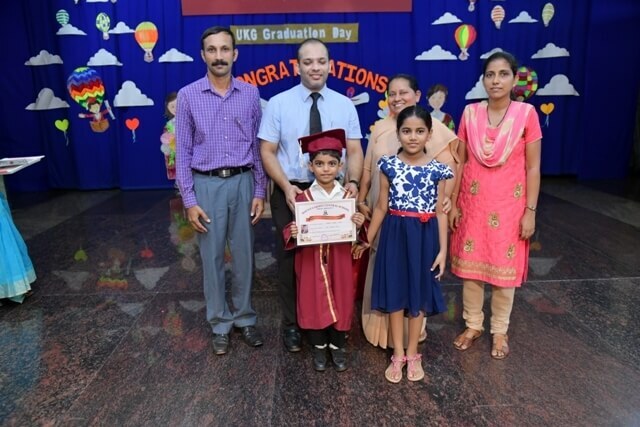 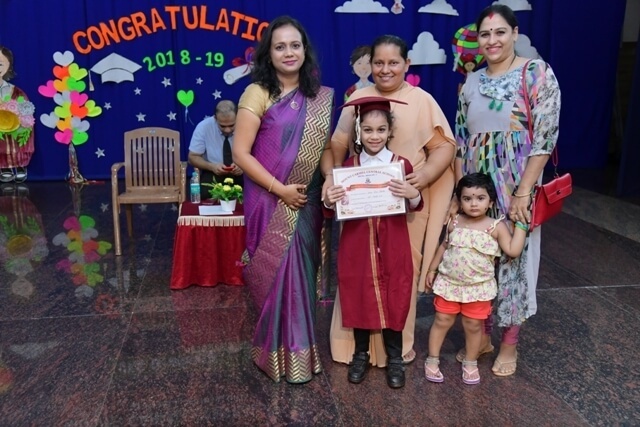 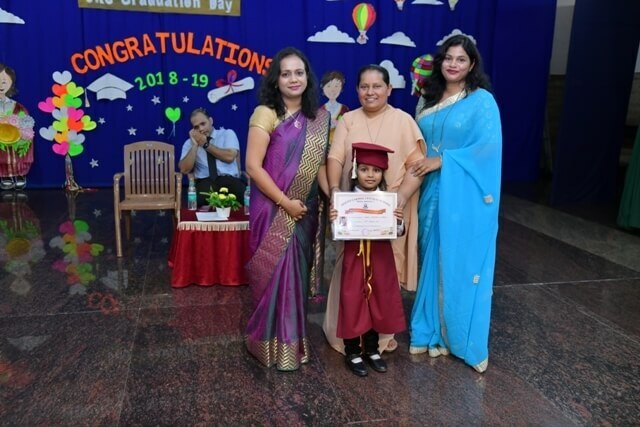 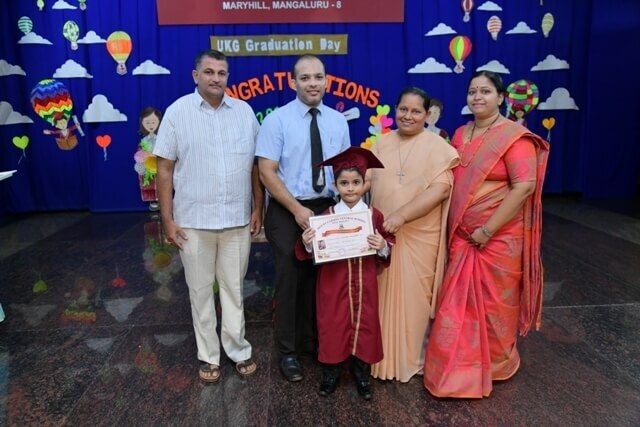 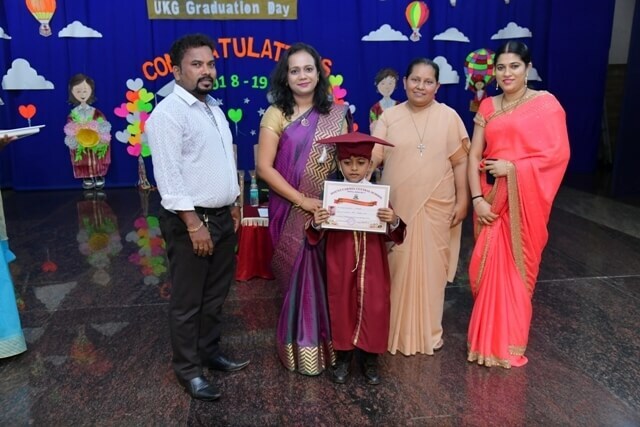 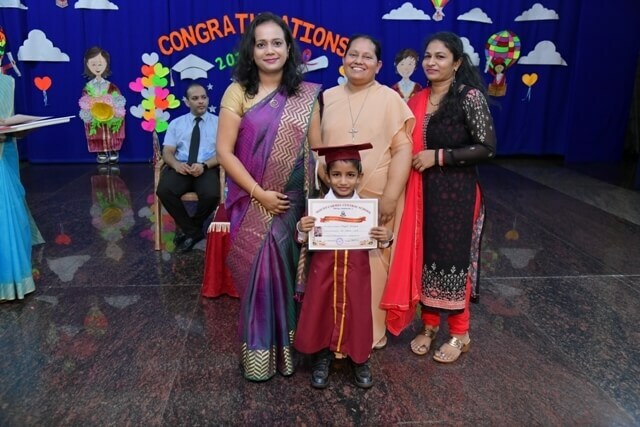 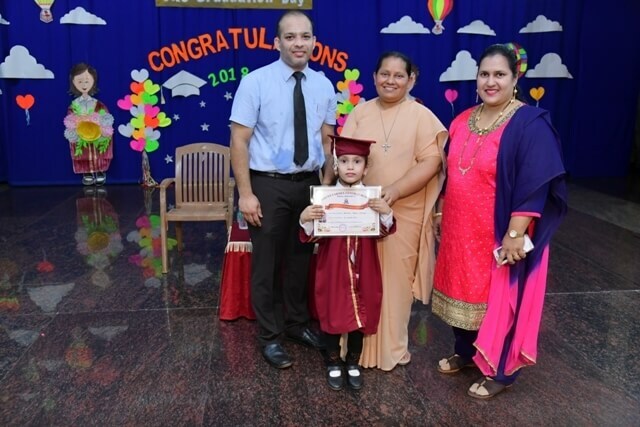 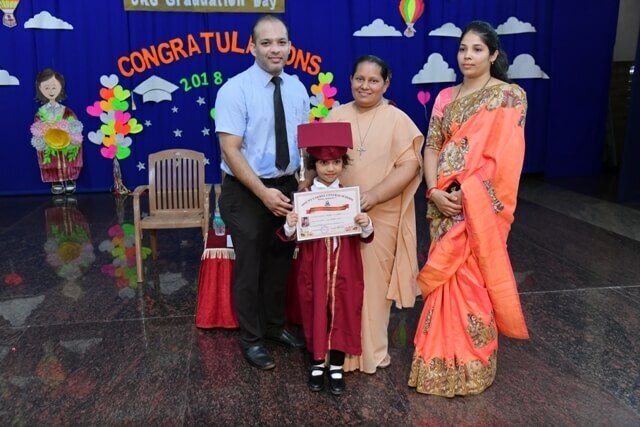 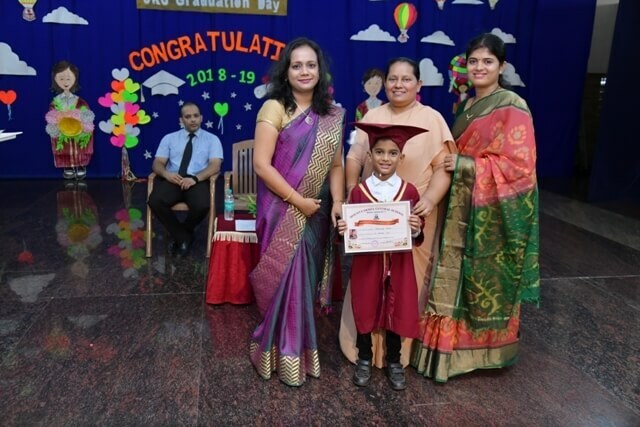 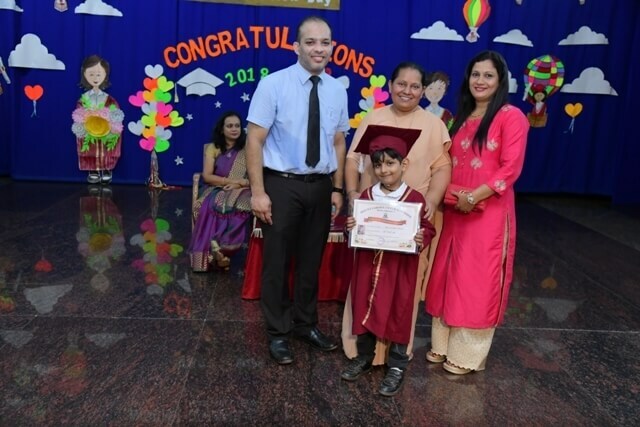 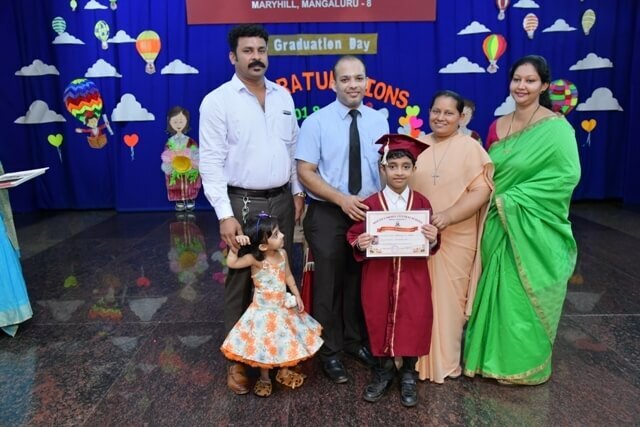 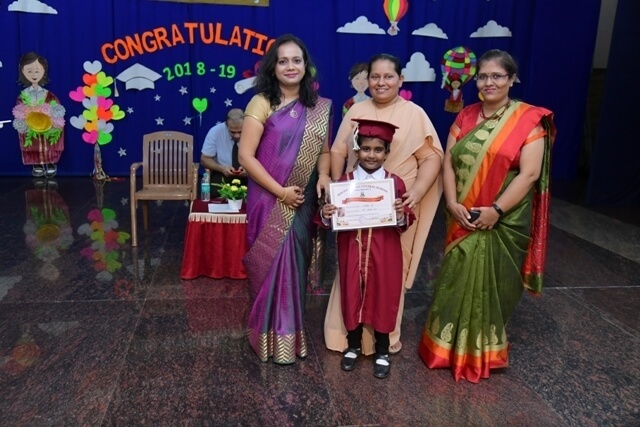 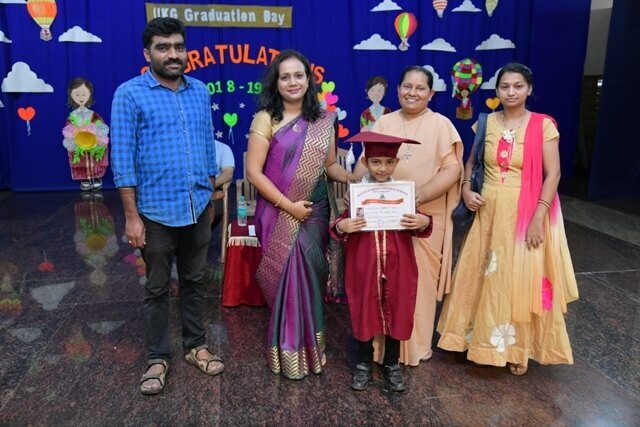 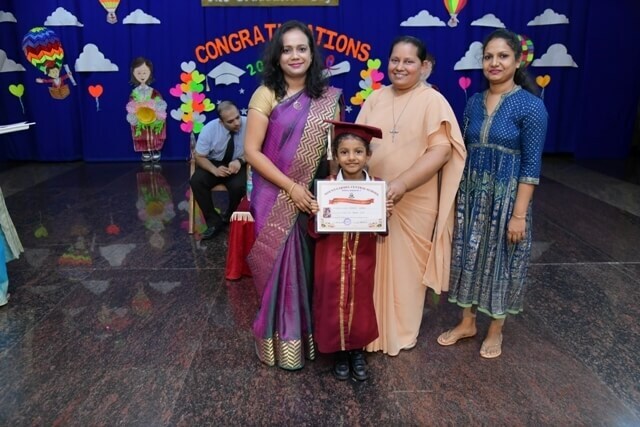 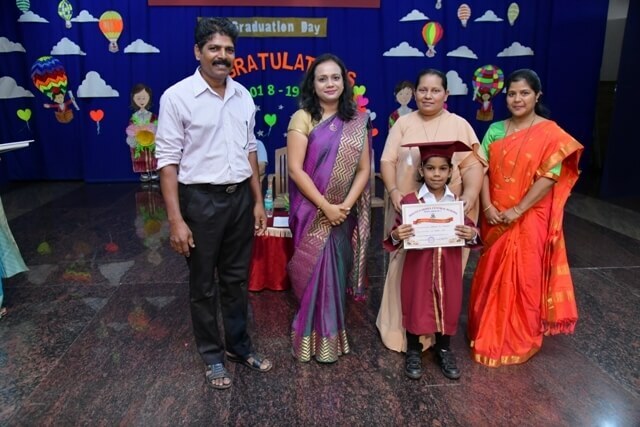 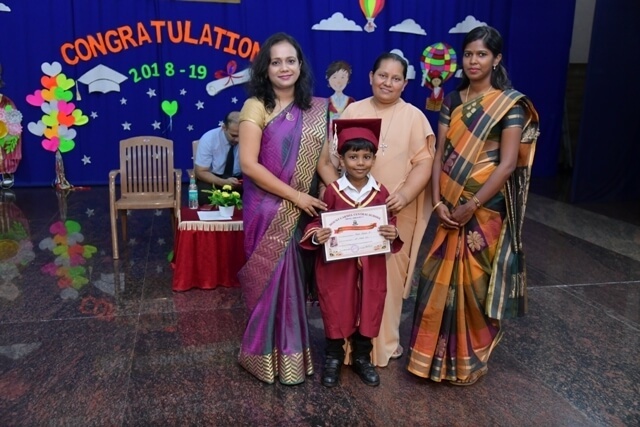 It was heartwarming to hear the little graduates express their emotions with words of gratitude. 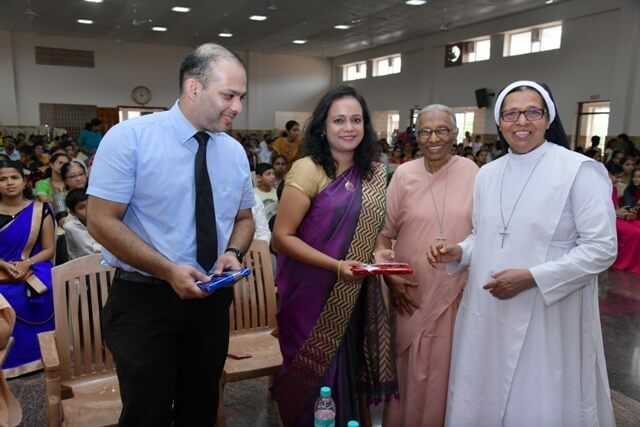 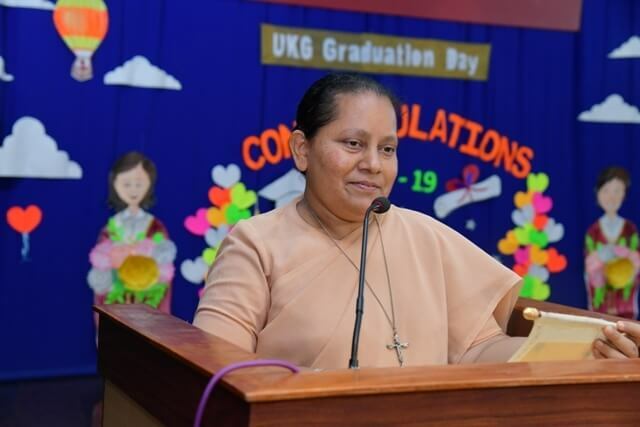 The principal Sr. Melissa with joy and gratefulness in her heart conferred the title on the graduates.